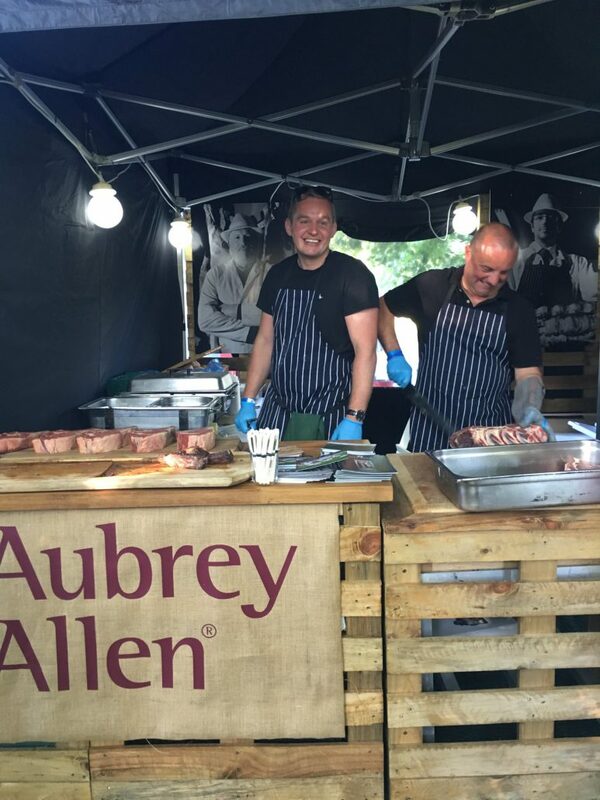 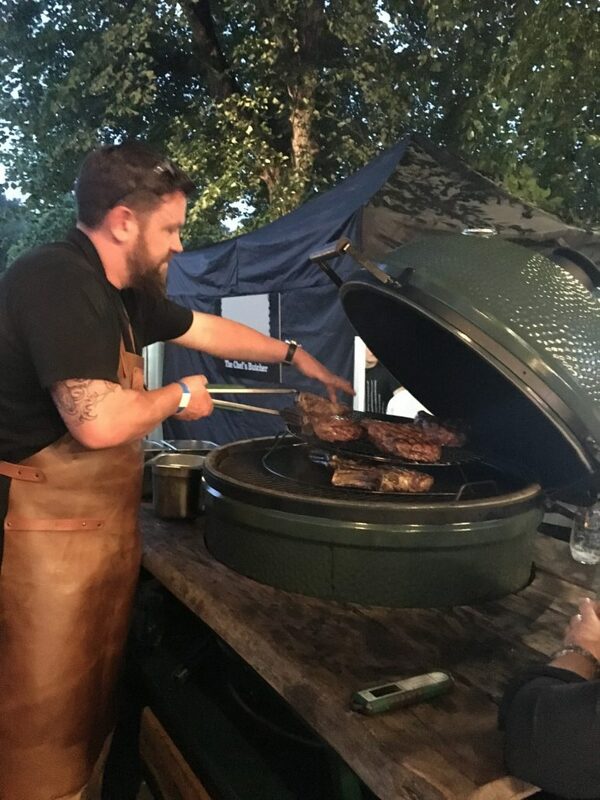 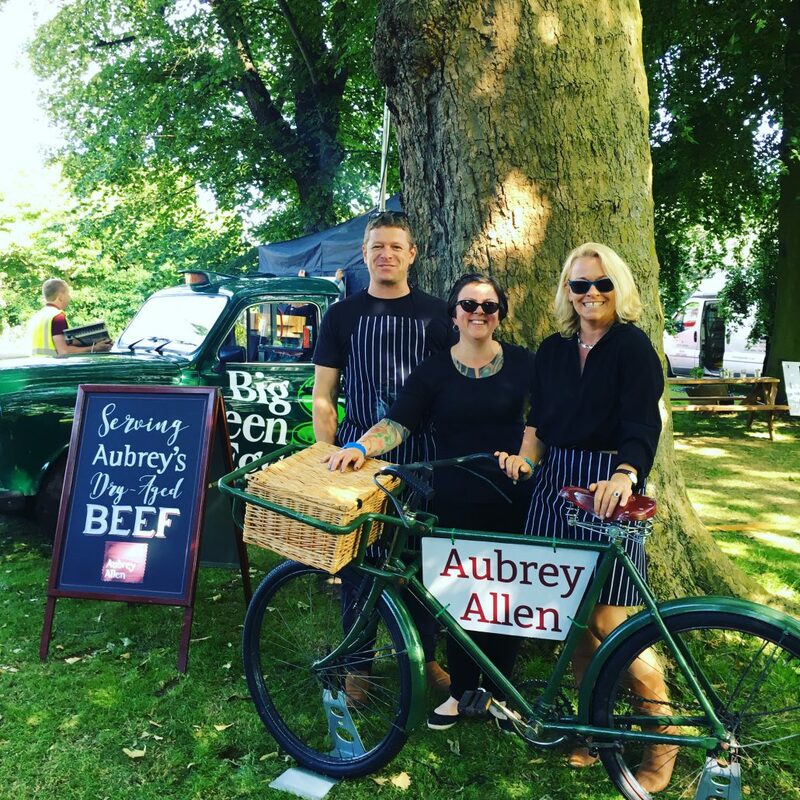 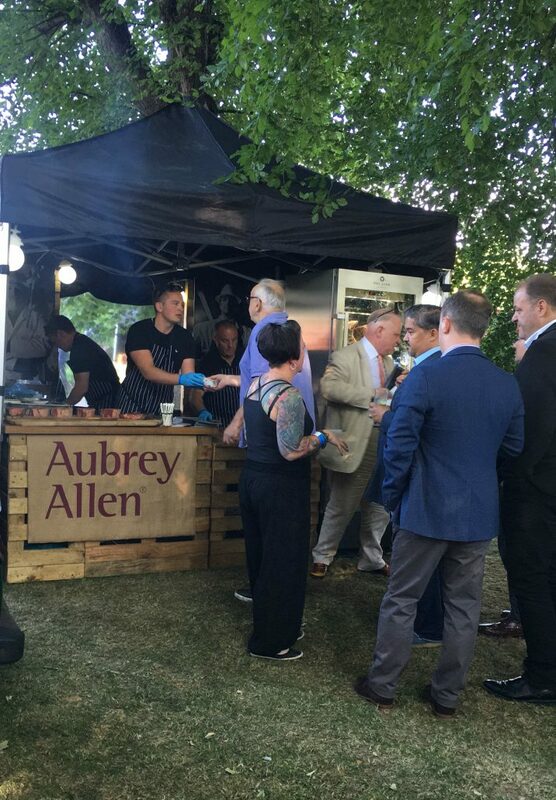 View images from our most recent events with chefs that we work with and the Aubrey Allen team. 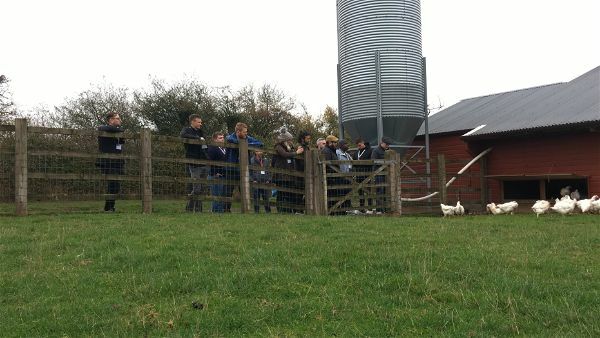 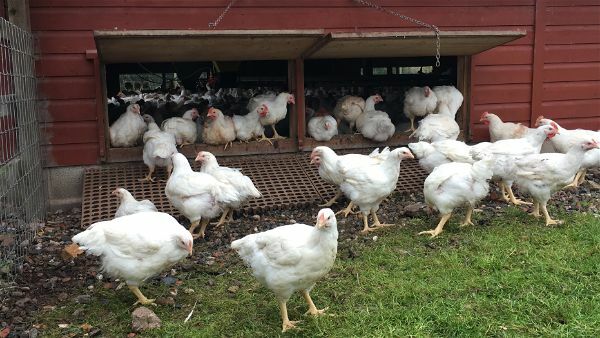 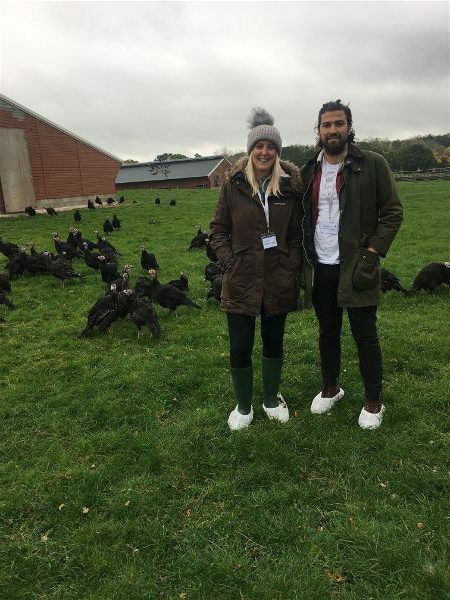 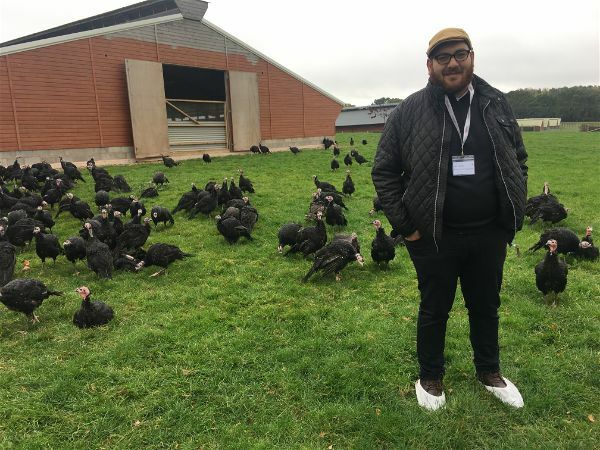 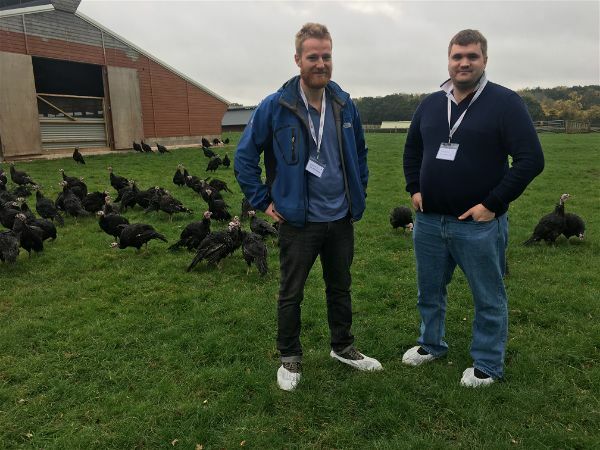 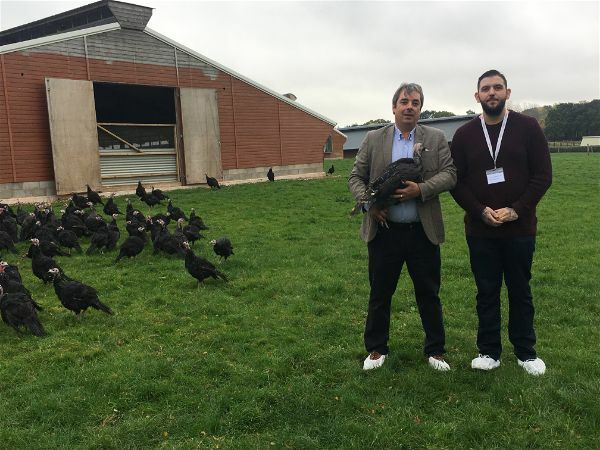 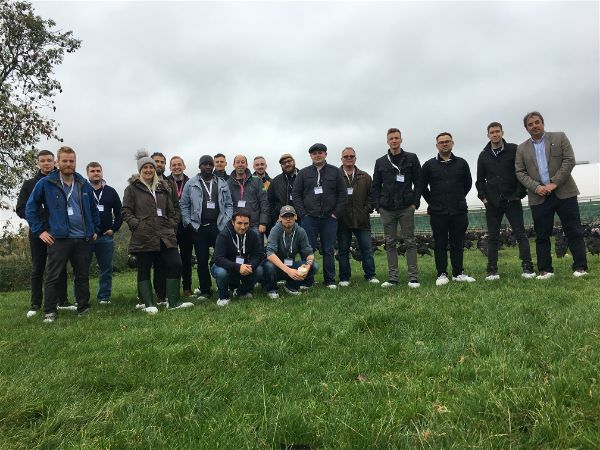 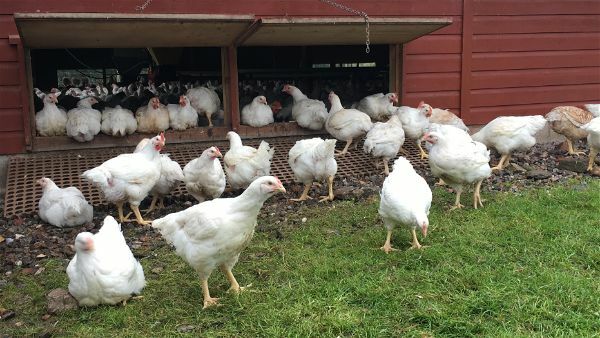 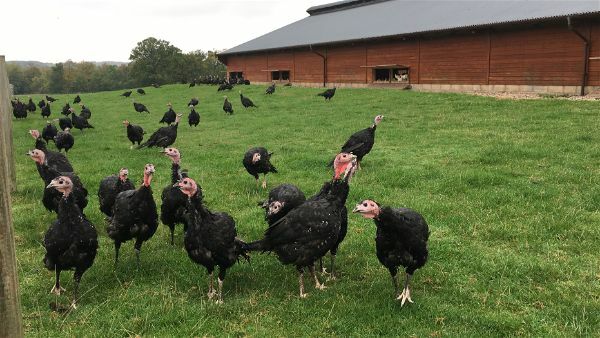 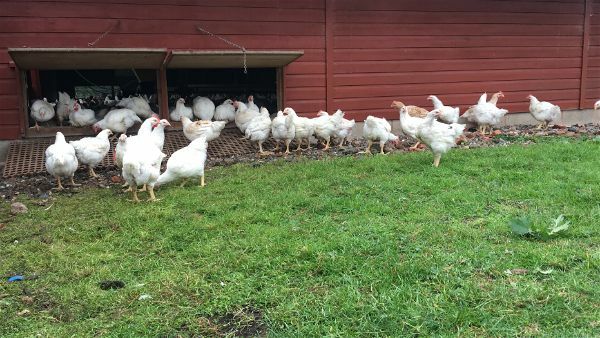 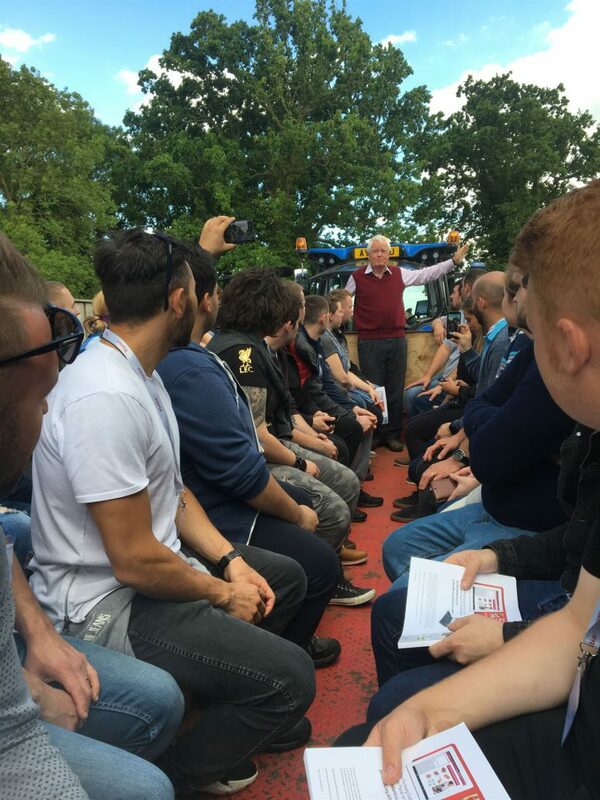 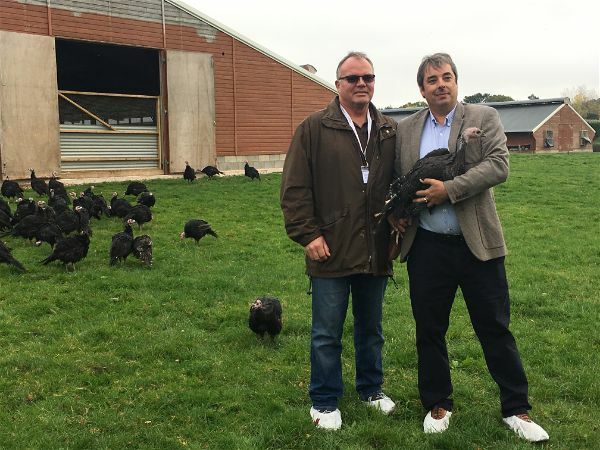 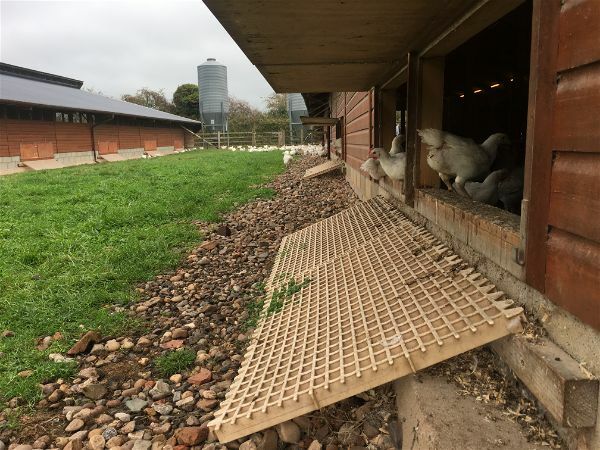 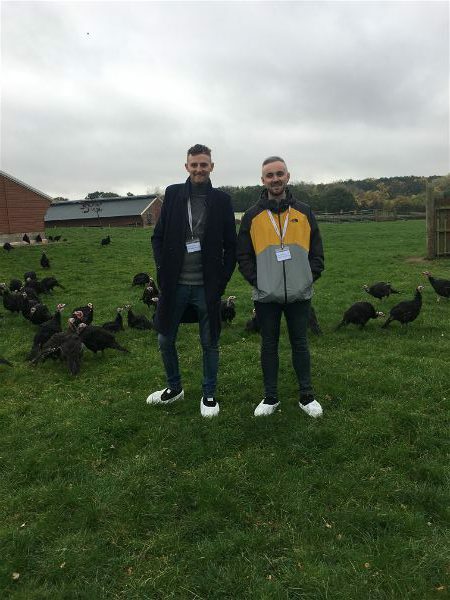 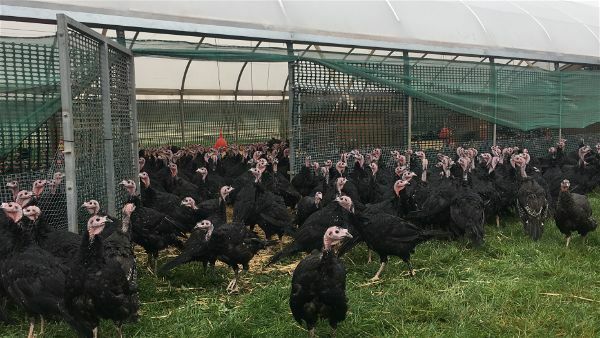 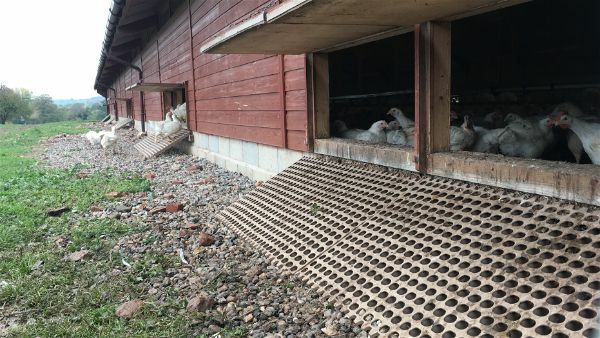 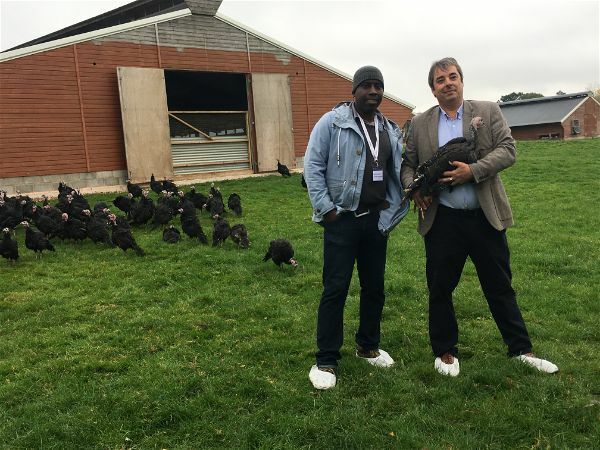 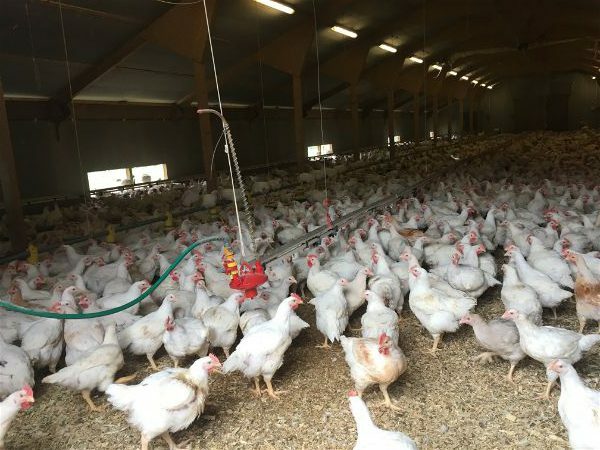 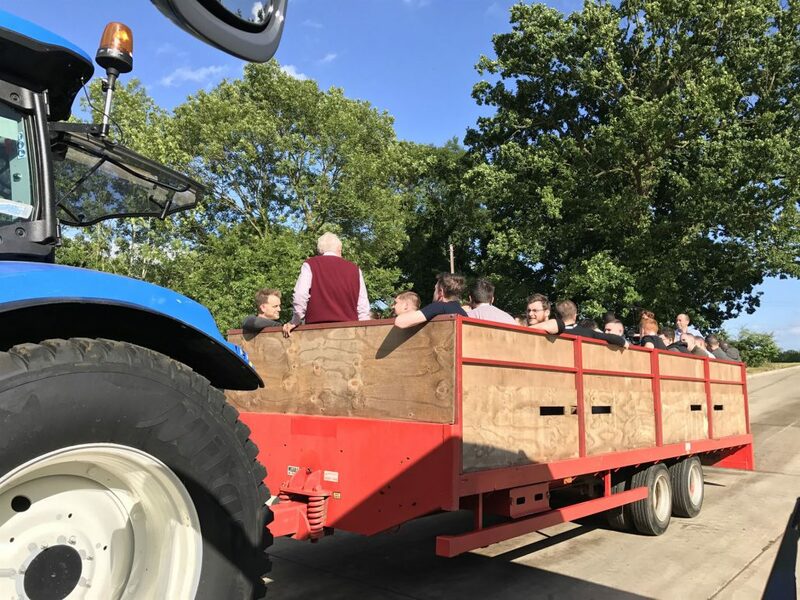 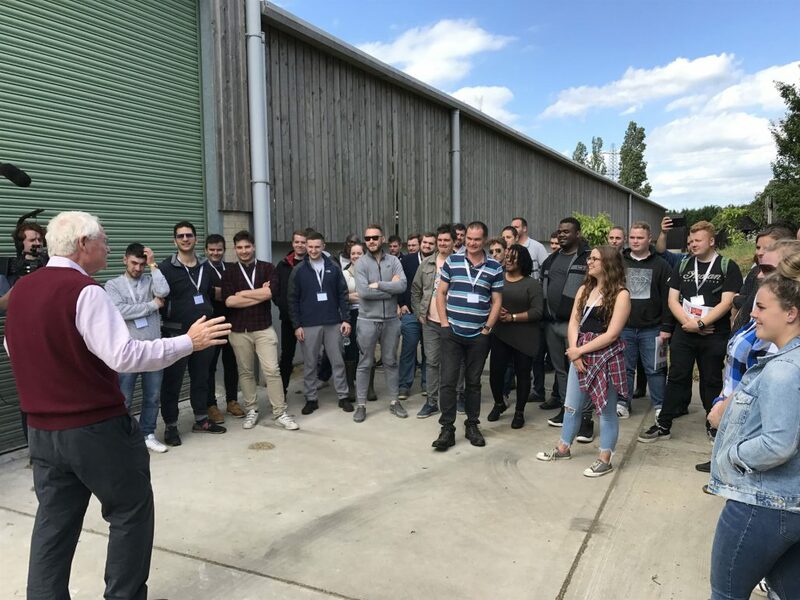 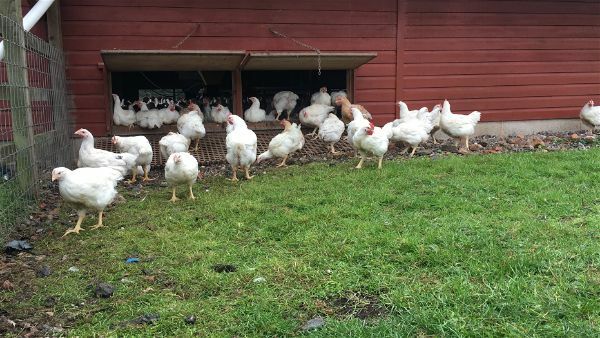 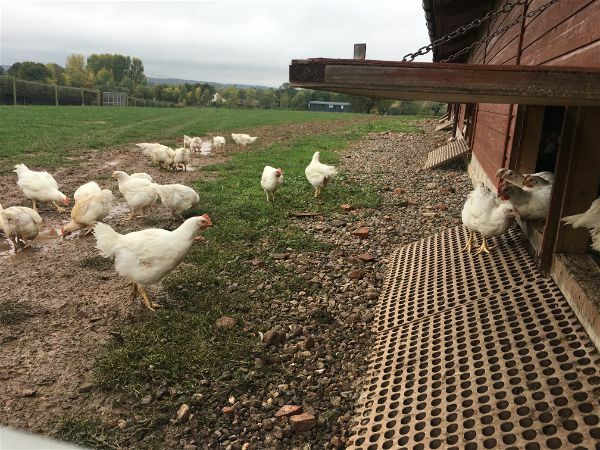 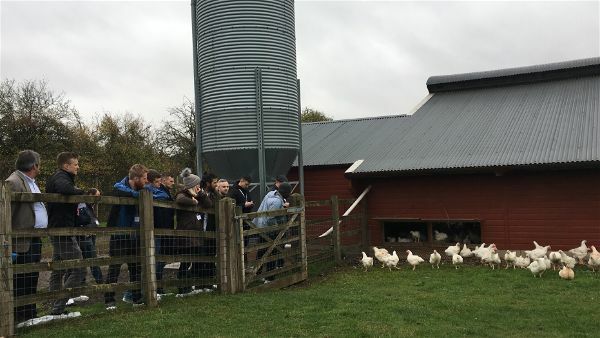 In October 2018, chefs joined Aubrey Allen on their annual farm trip to Caldecott’s Poultry Farm. 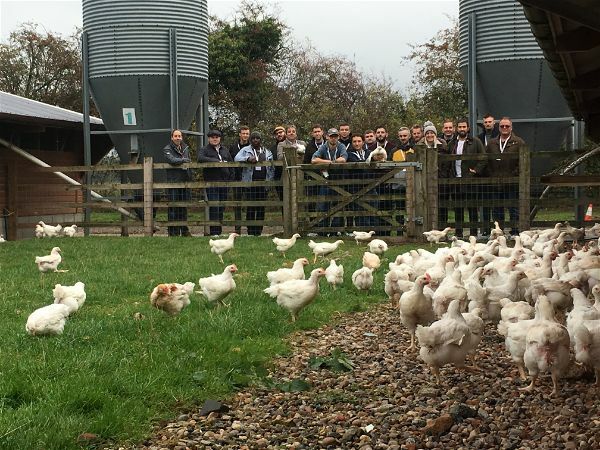 Chefs were able to see the Cotswold White Chicken ethically reared from one day old through to maturity at 63 days. 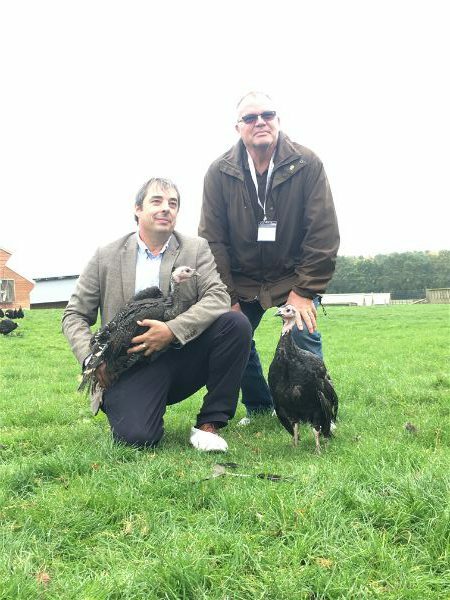 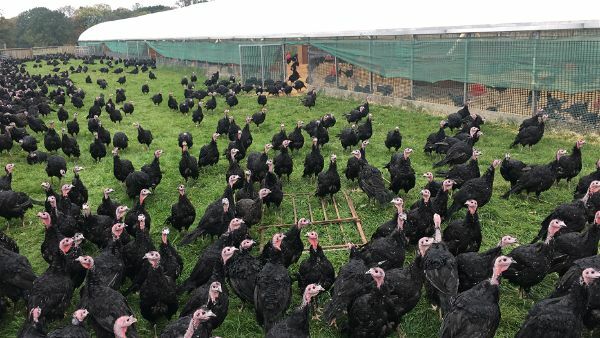 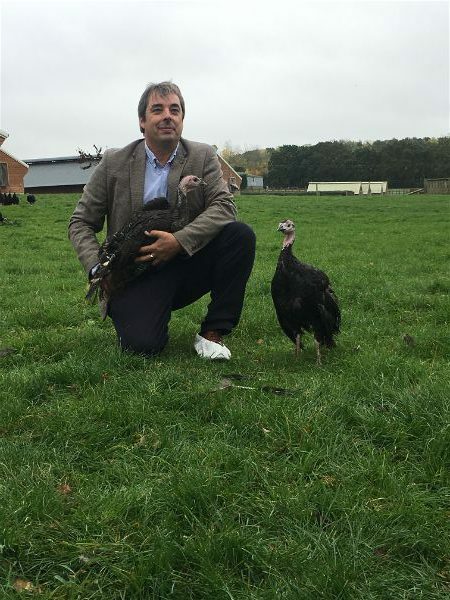 Our free range Turkeys come from Caldecotts Farm and chefs were able to see them roaming around. 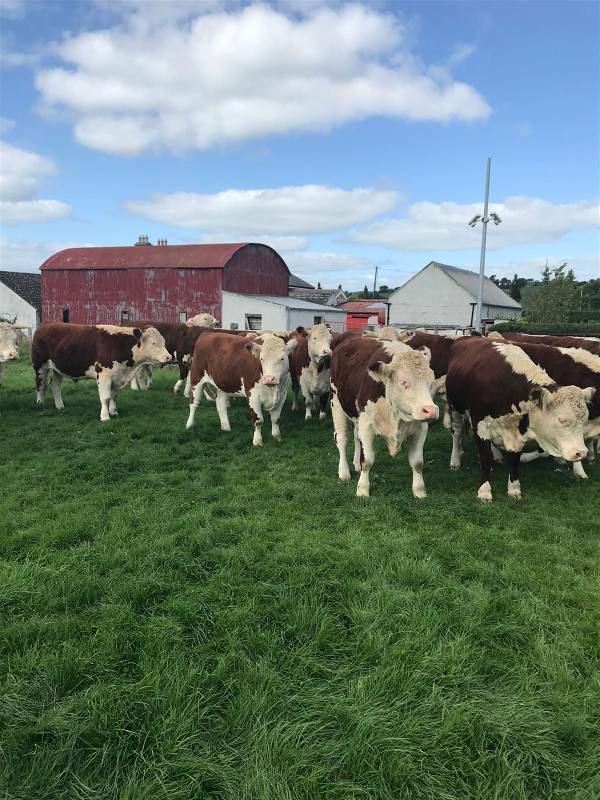 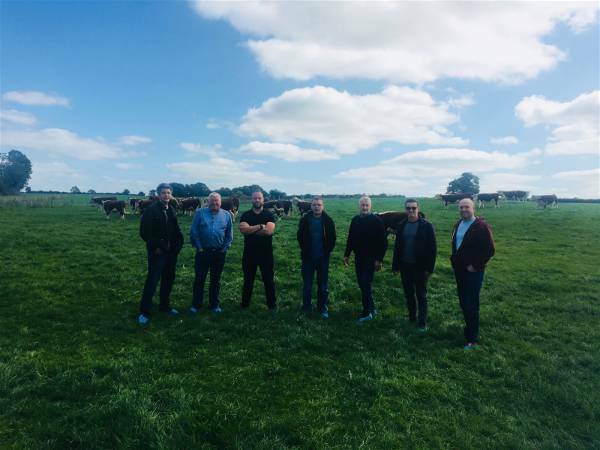 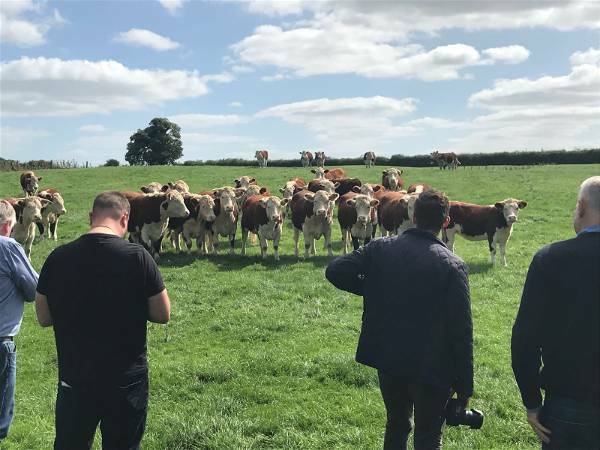 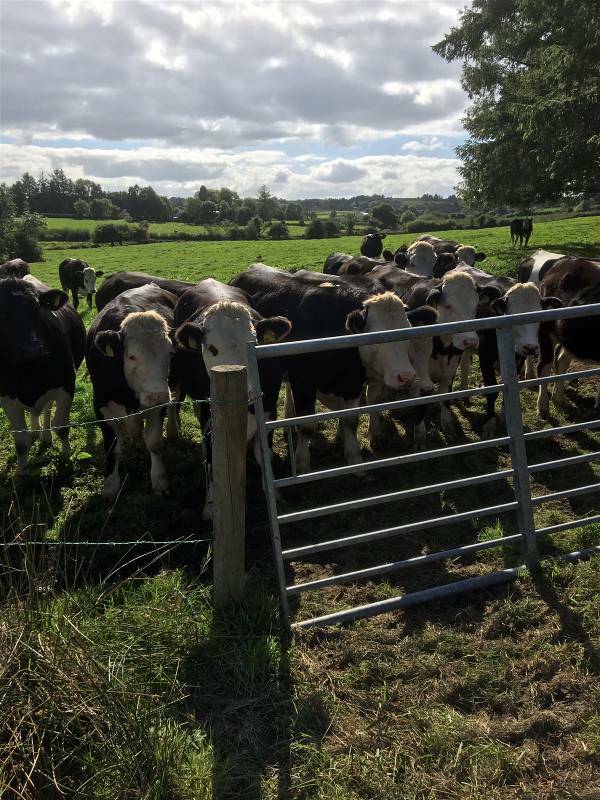 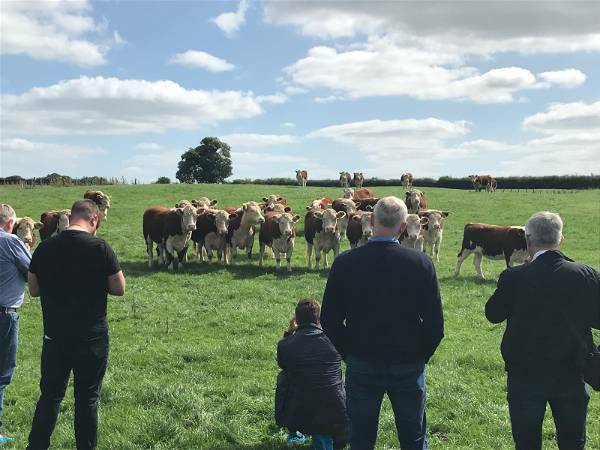 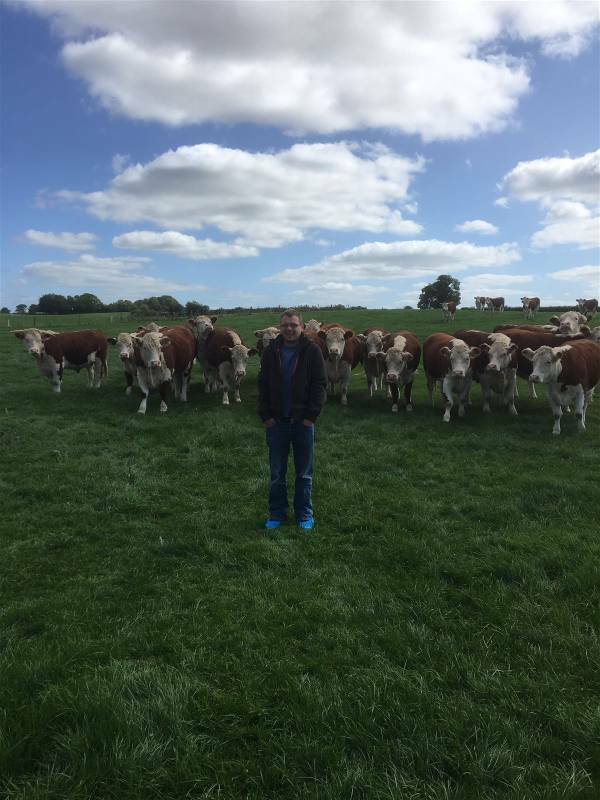 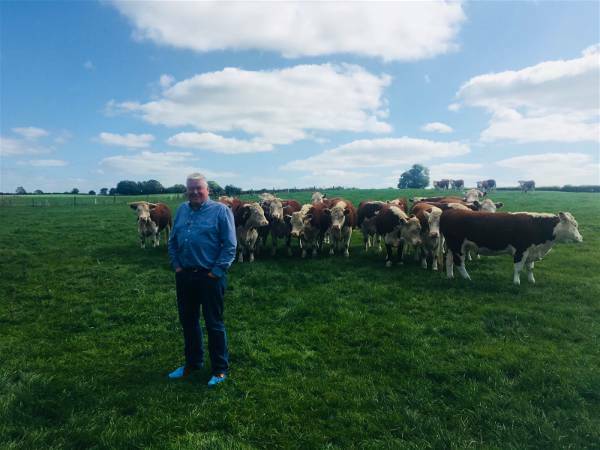 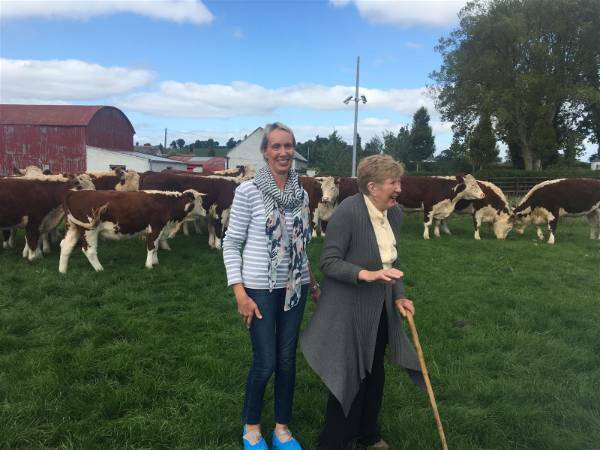 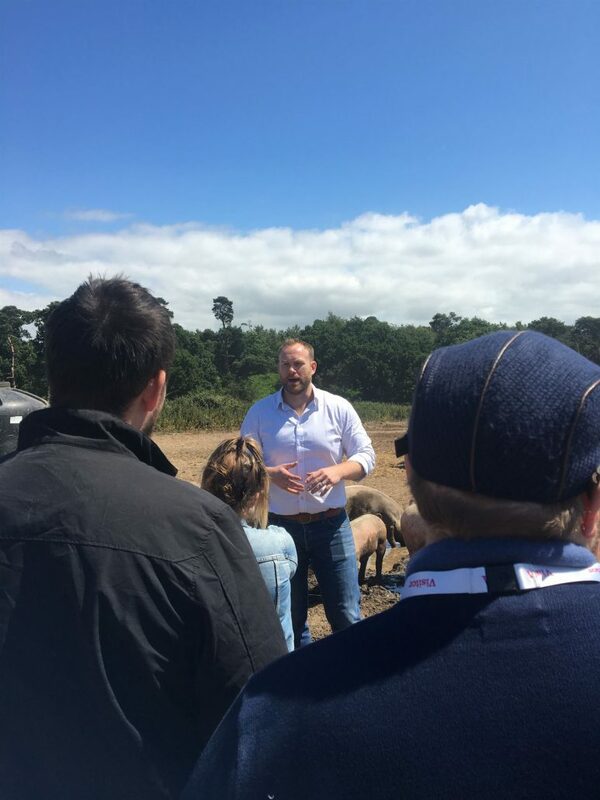 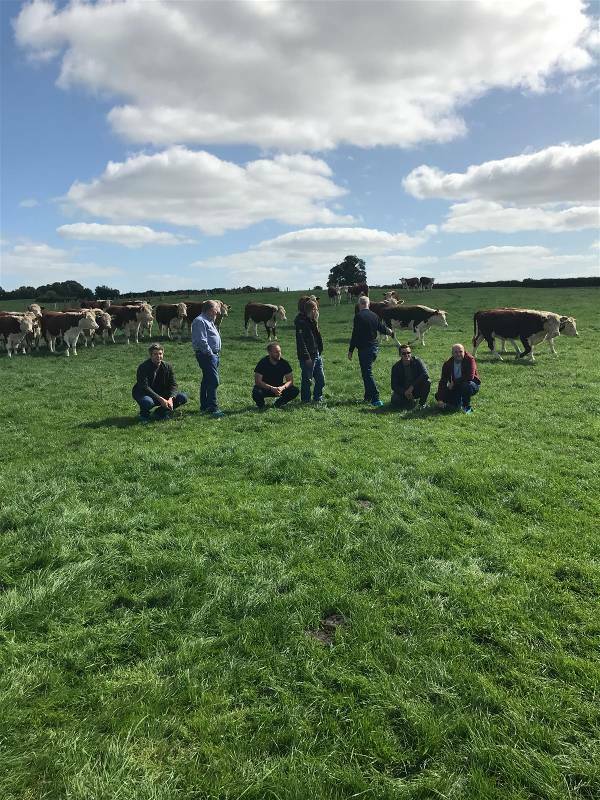 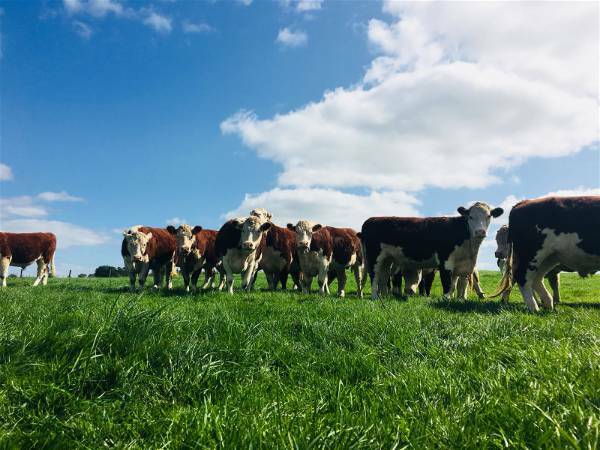 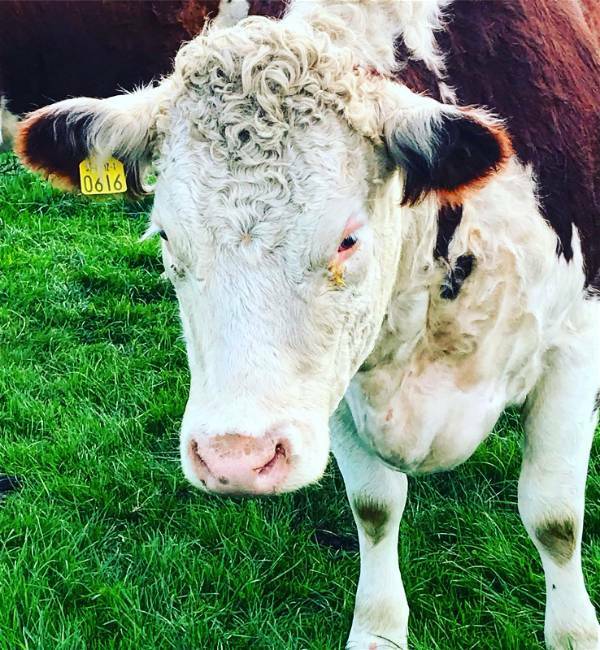 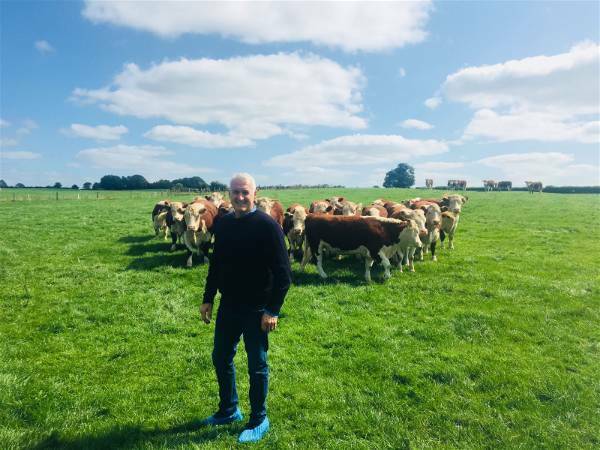 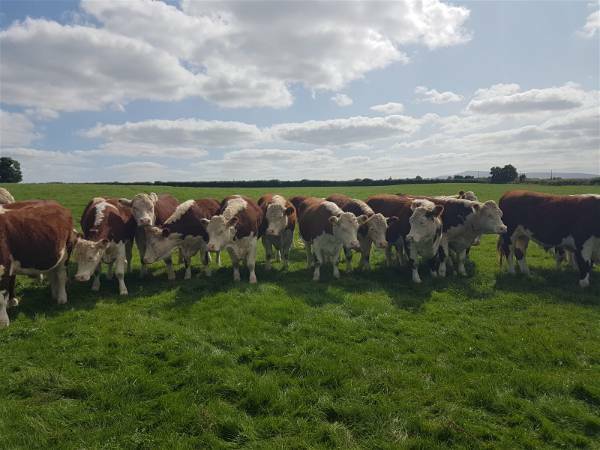 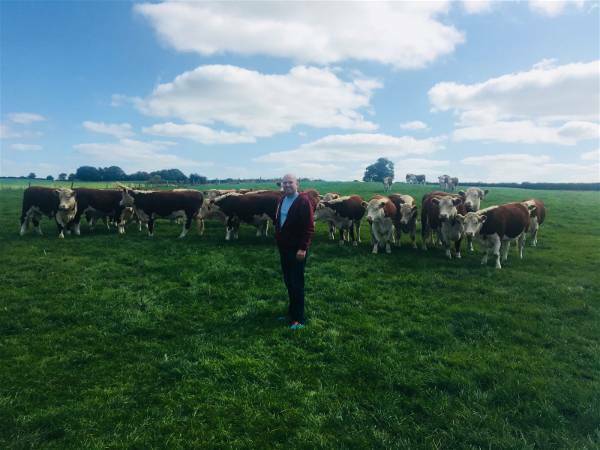 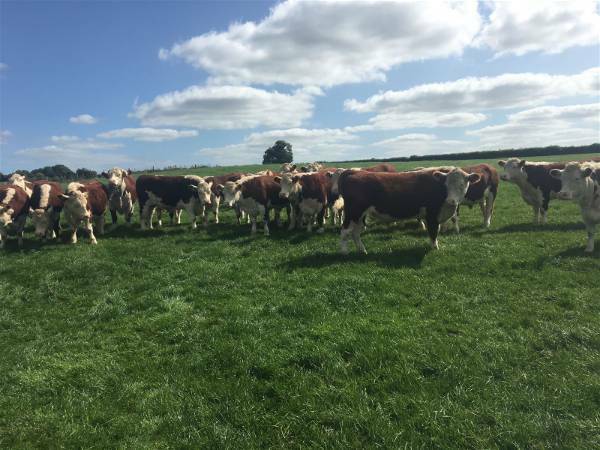 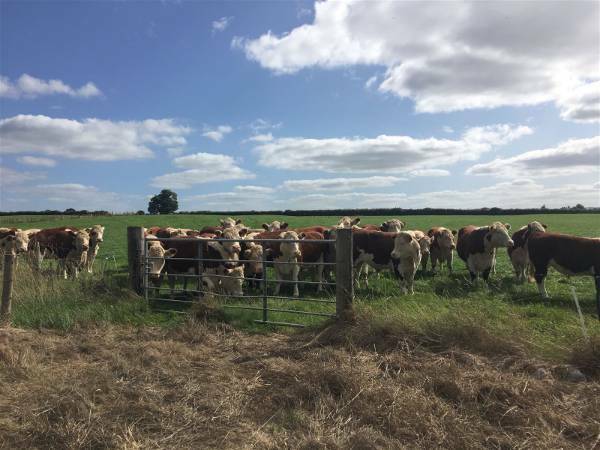 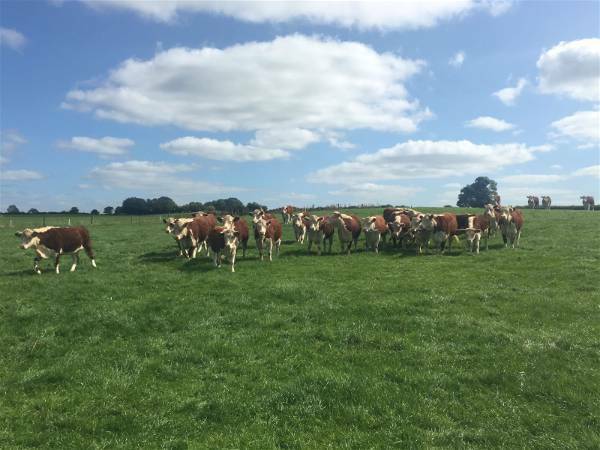 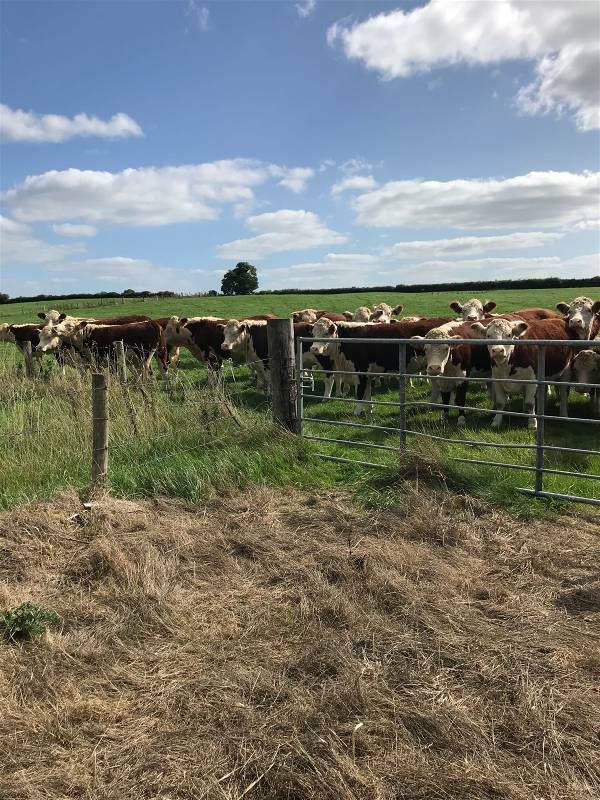 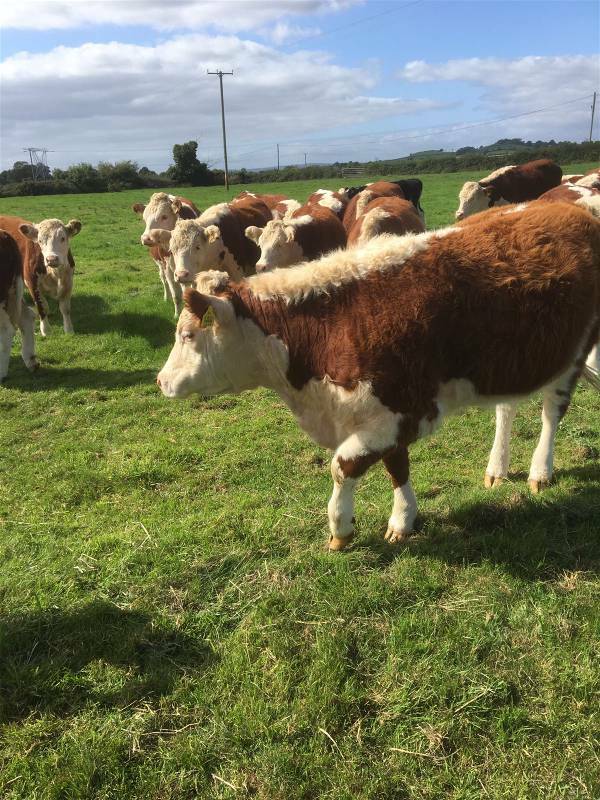 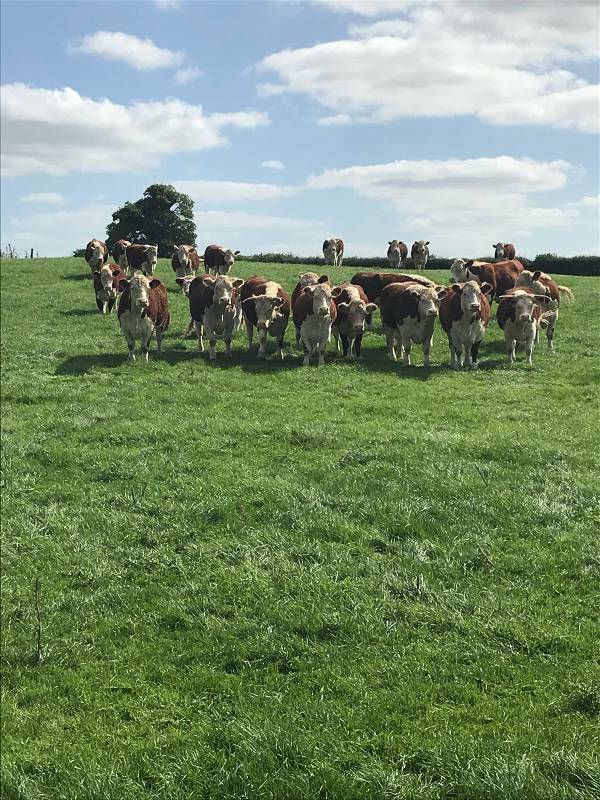 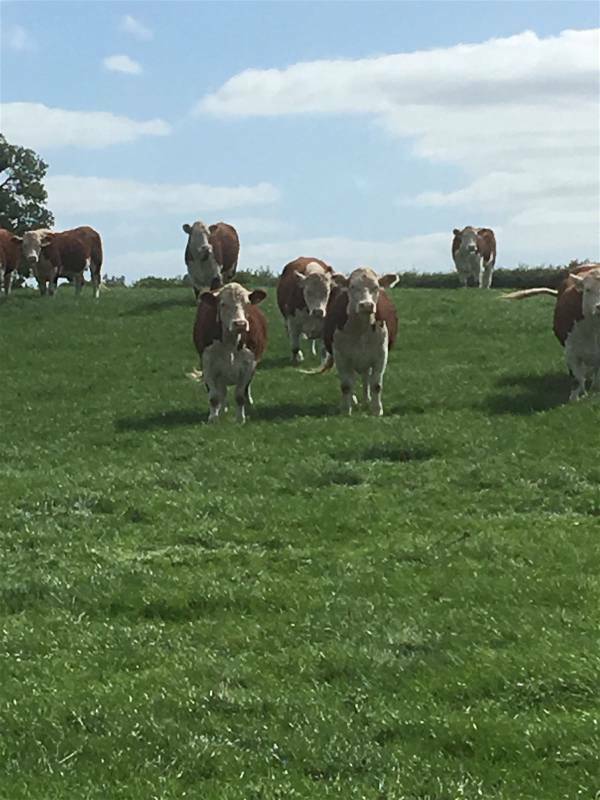 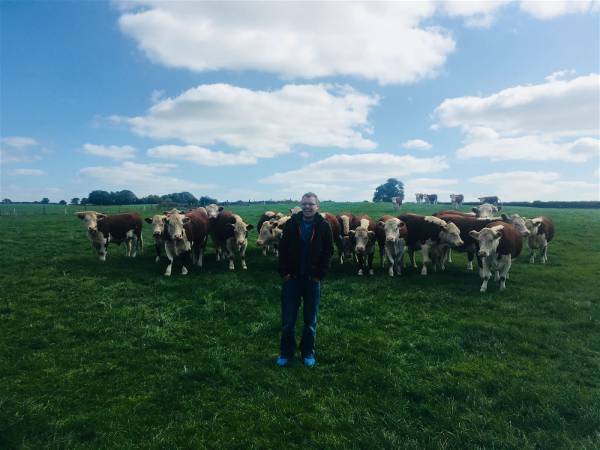 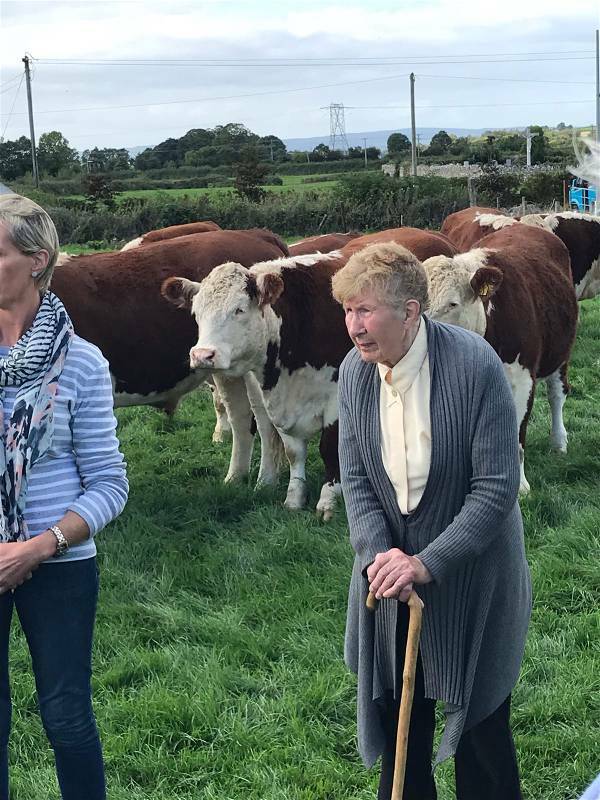 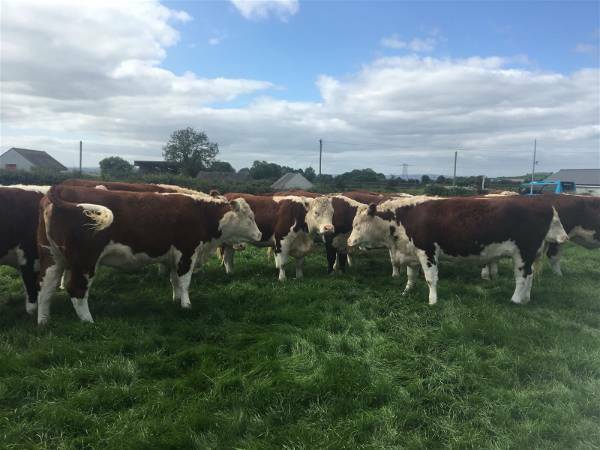 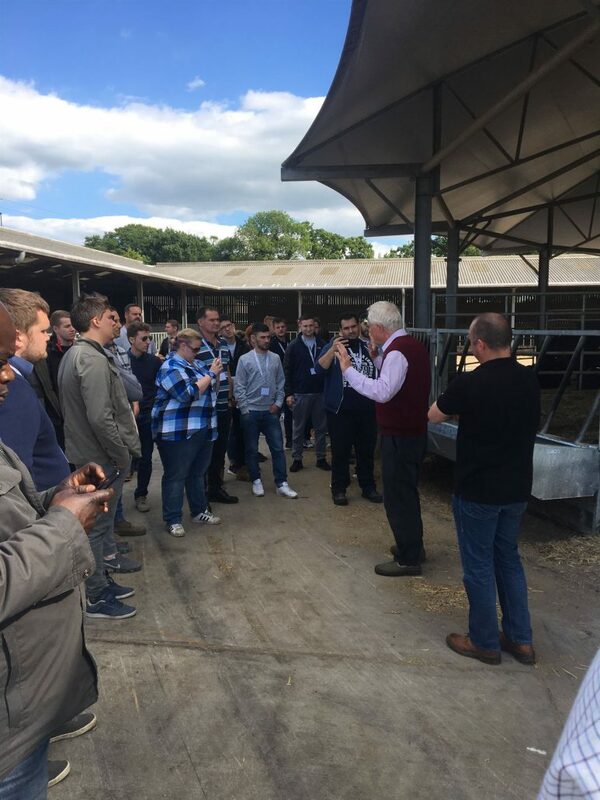 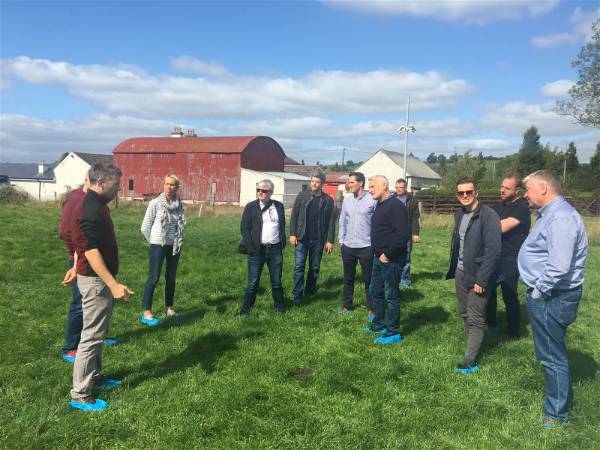 In September 2018, chefs joined Aubrey Allen, Bord Bia and ABP in Ireland to meet our farmer friends and see the care and attention that goes into rearing the Hereford Prime cattle. 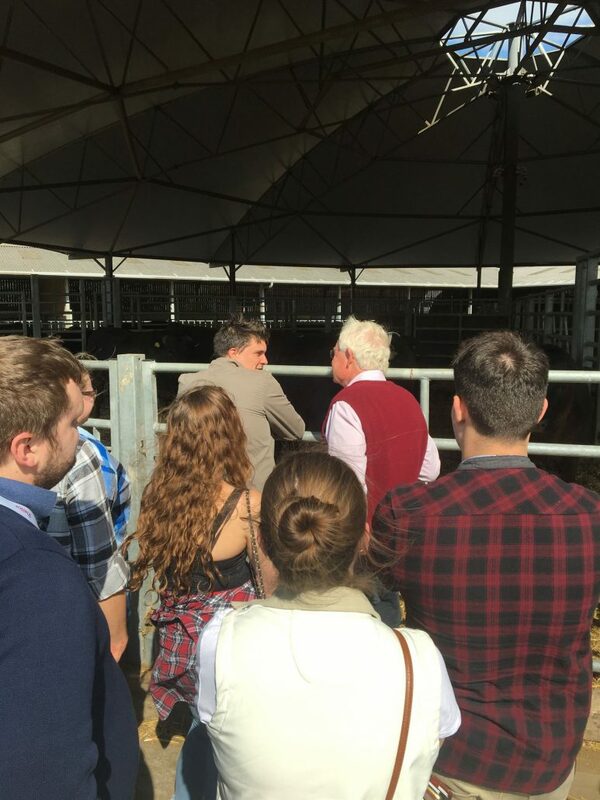  They also visited the ABP abattoir to understand the selection process for Aubrey Allen Irish beef. 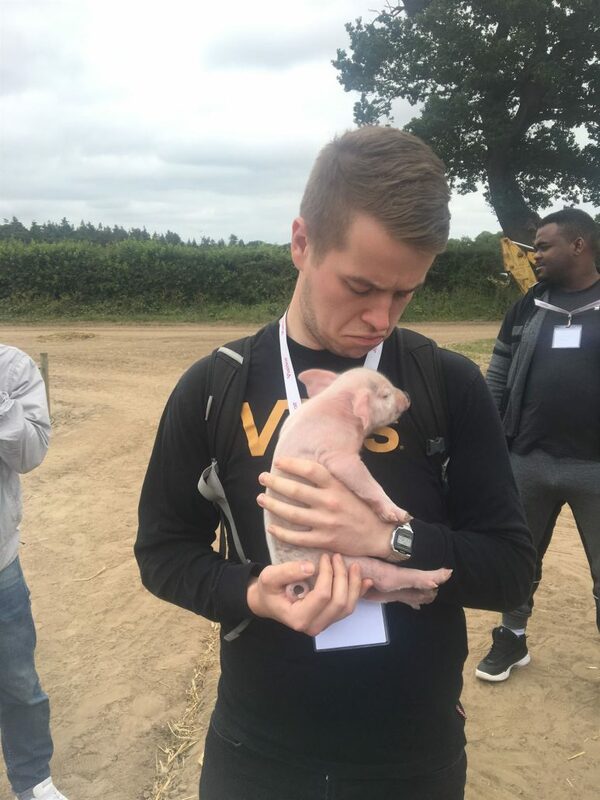 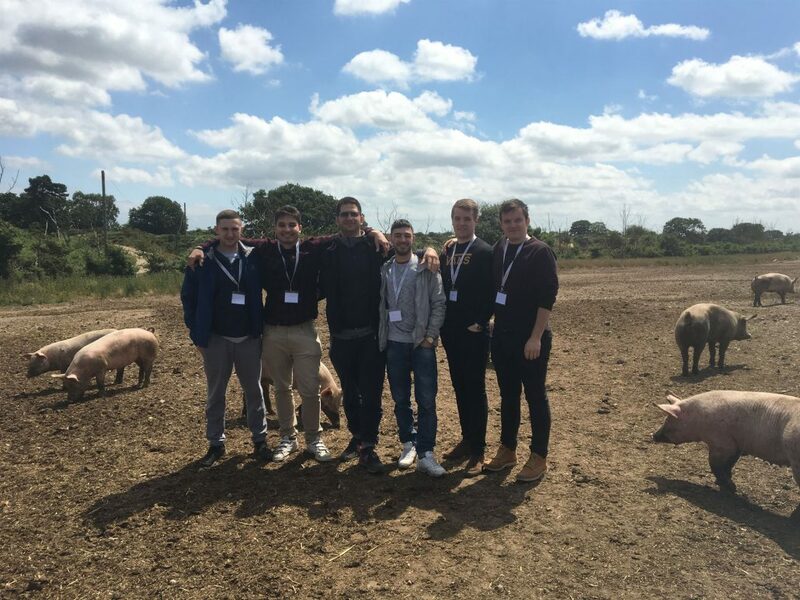 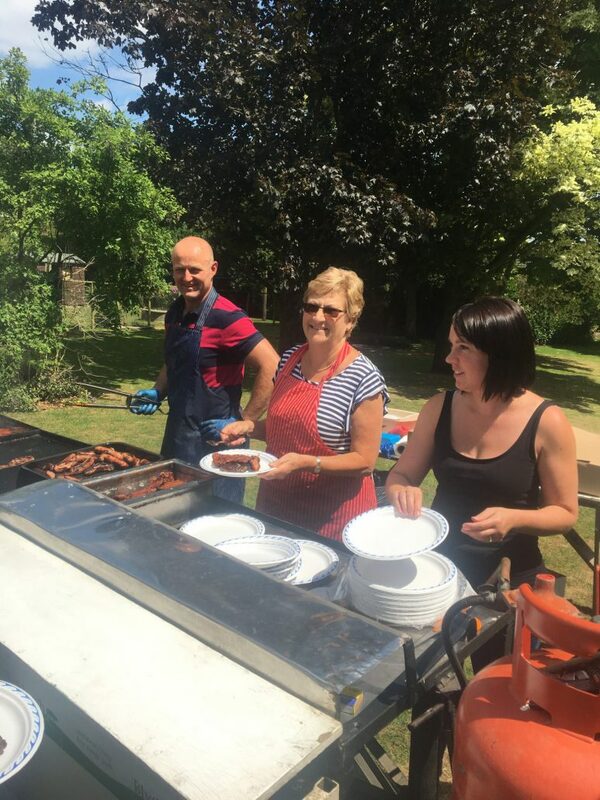 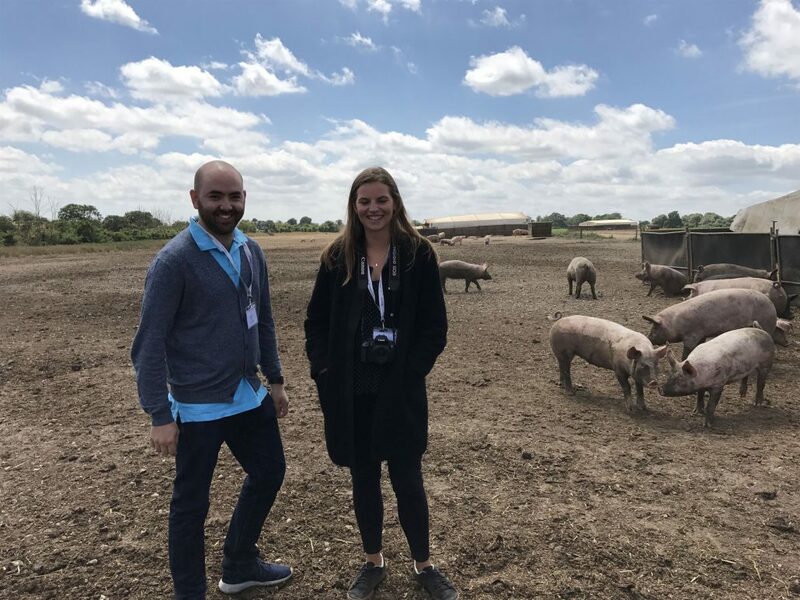 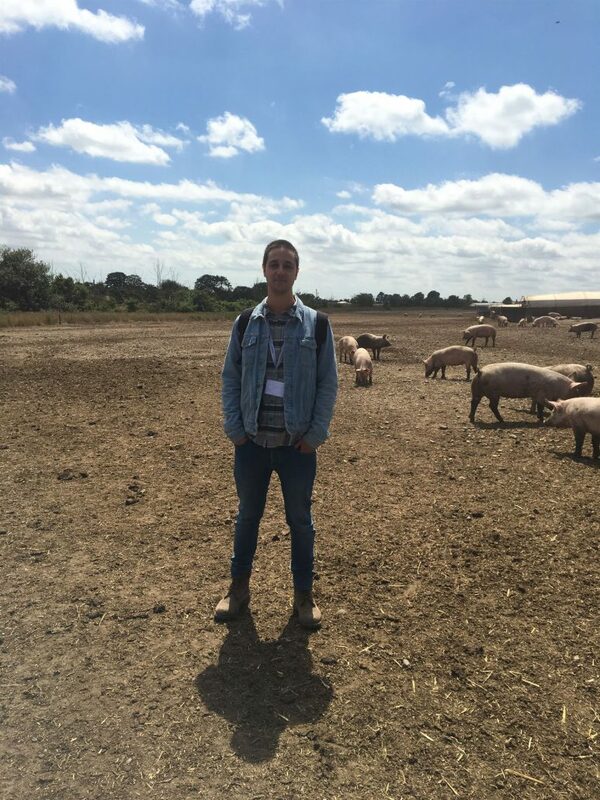 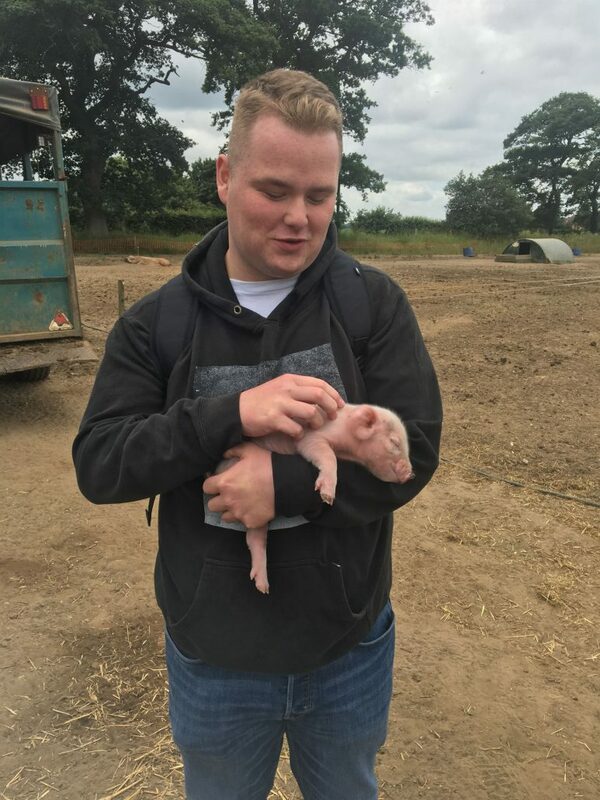 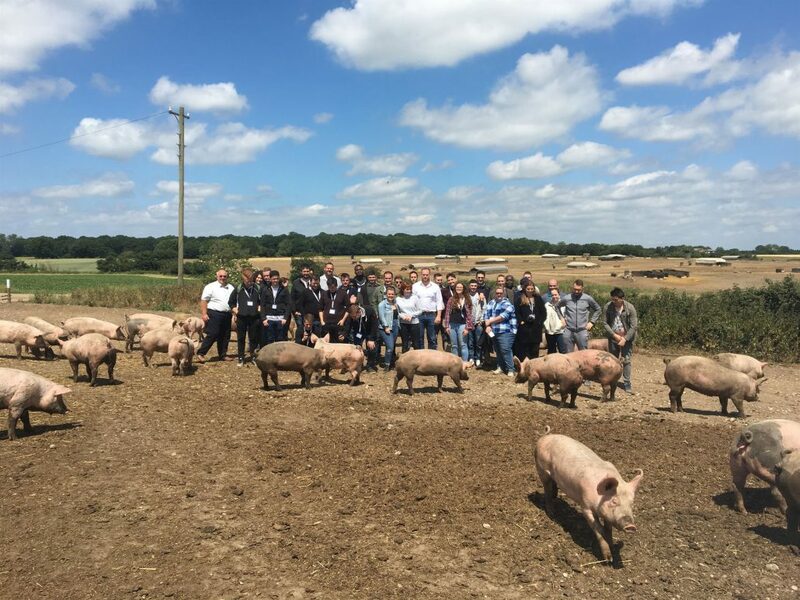 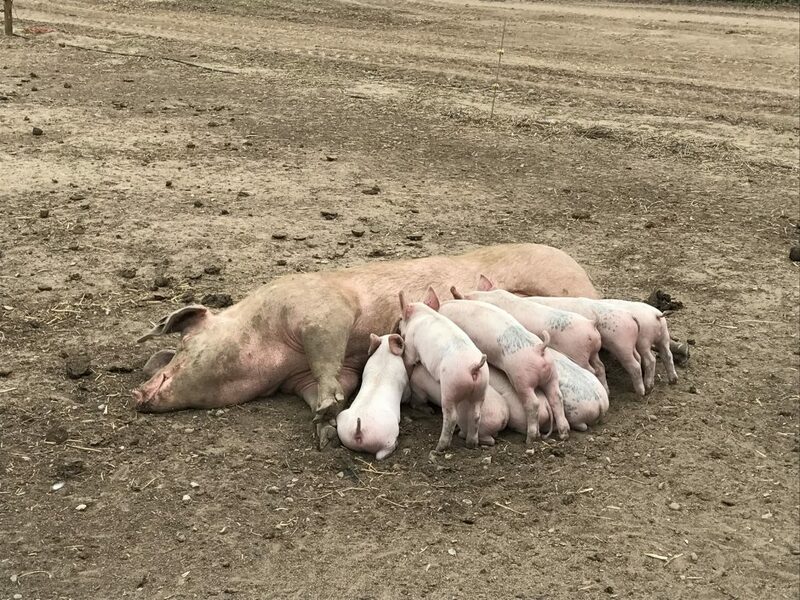 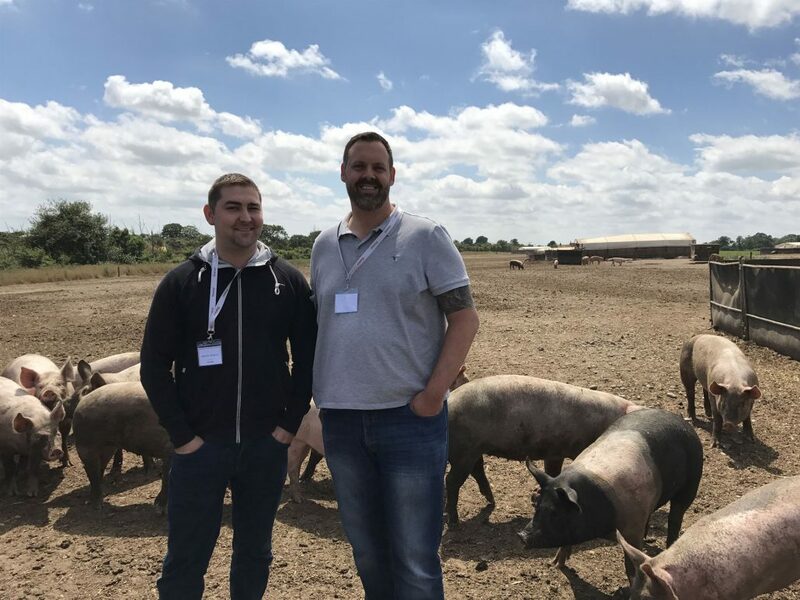 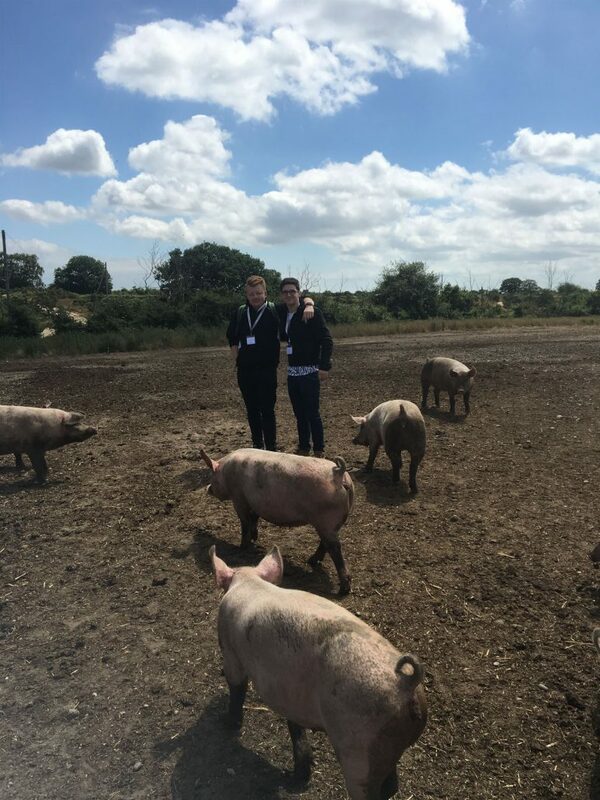 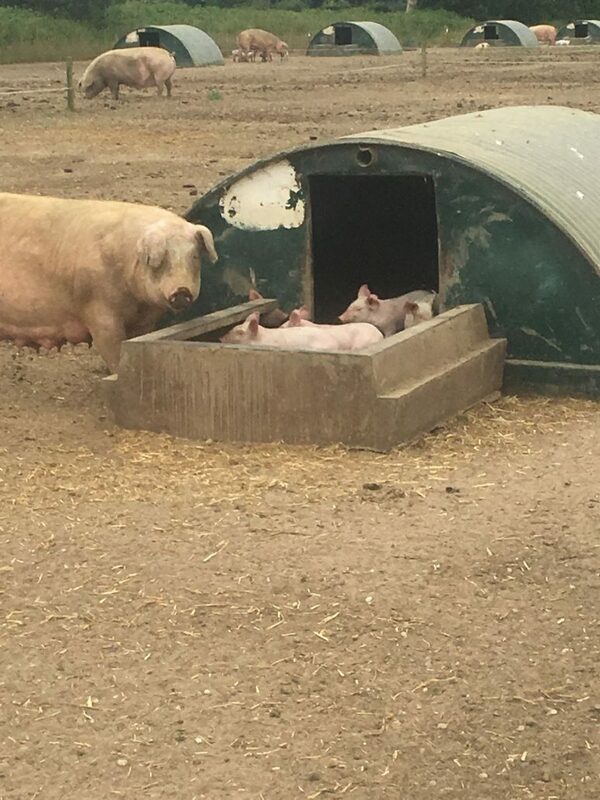 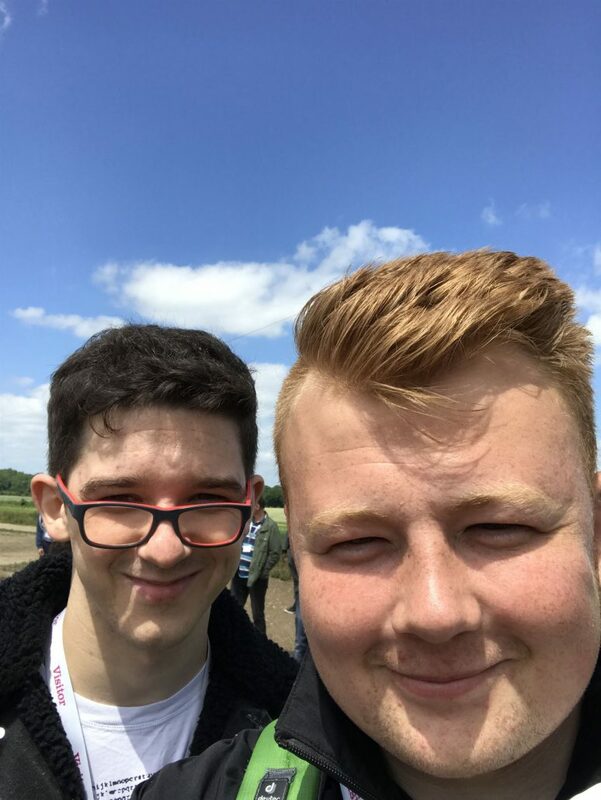 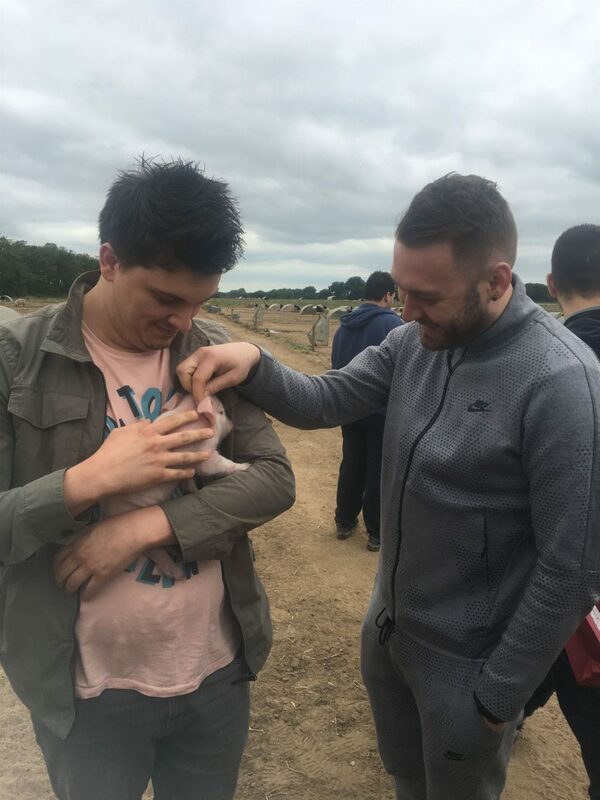 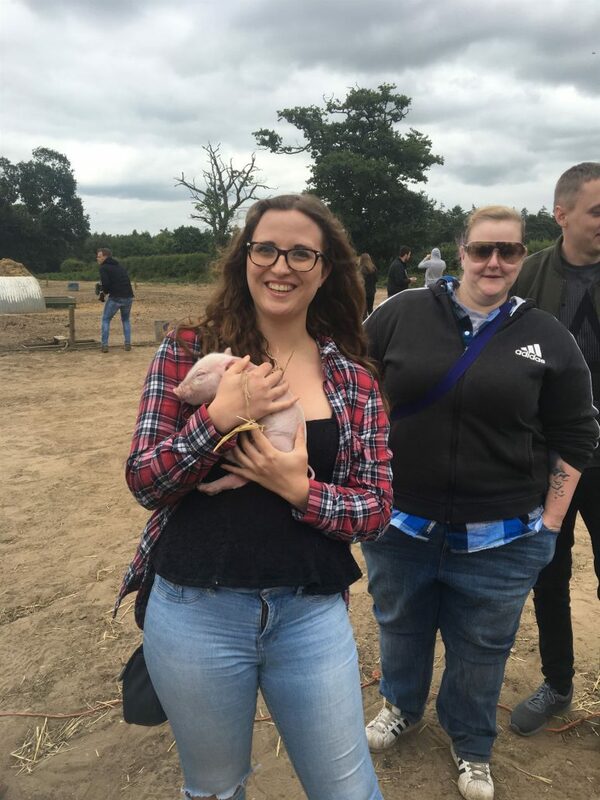 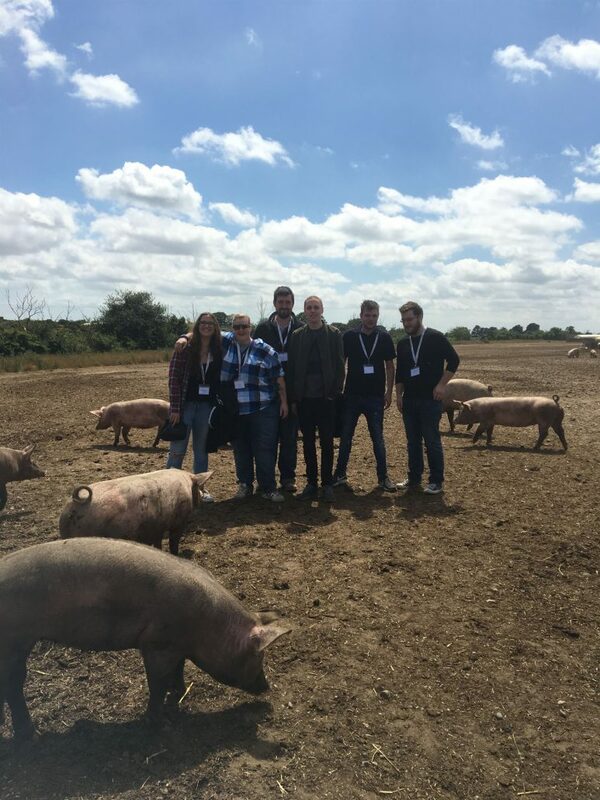 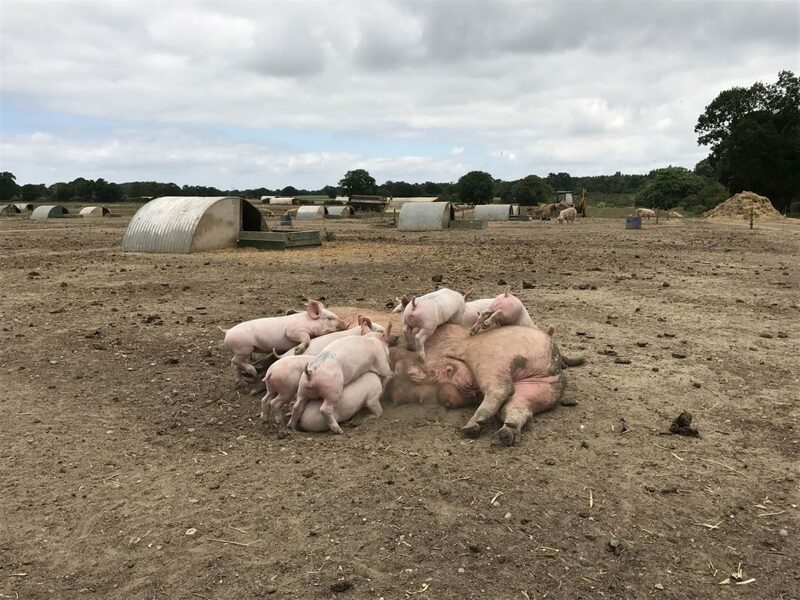 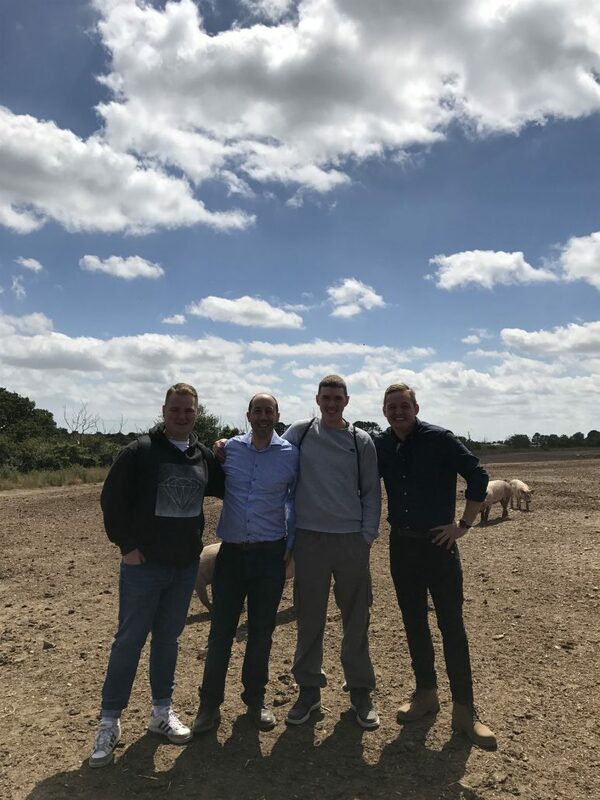 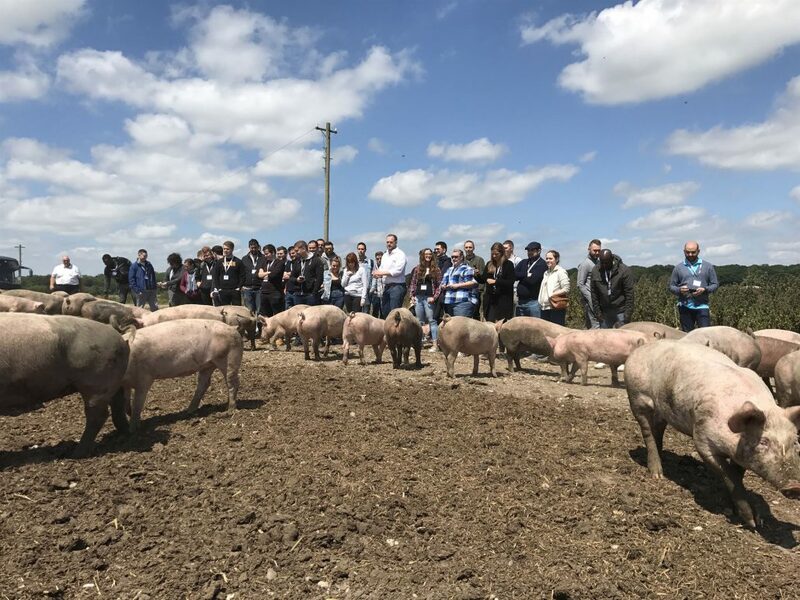 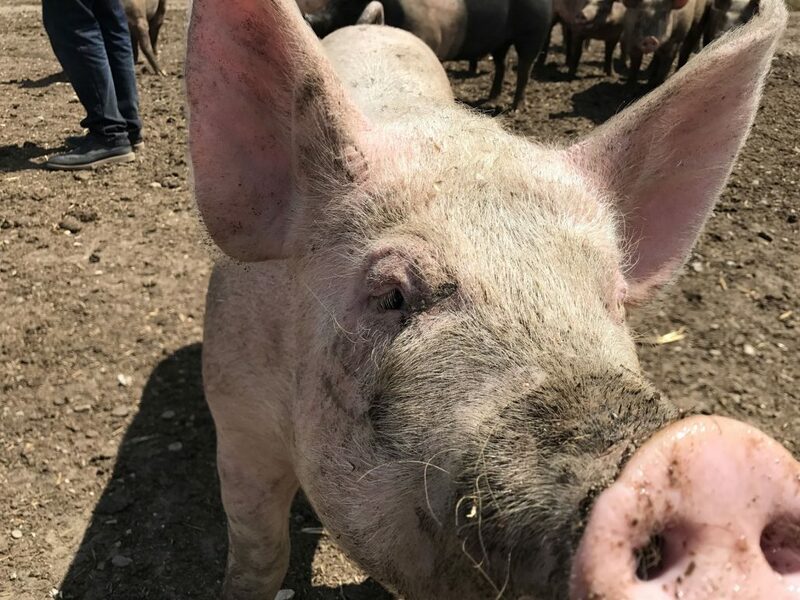 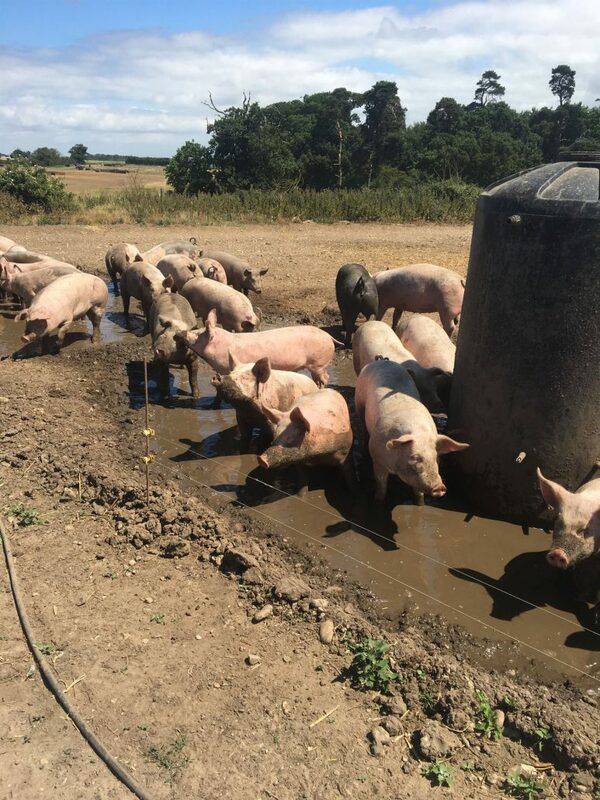 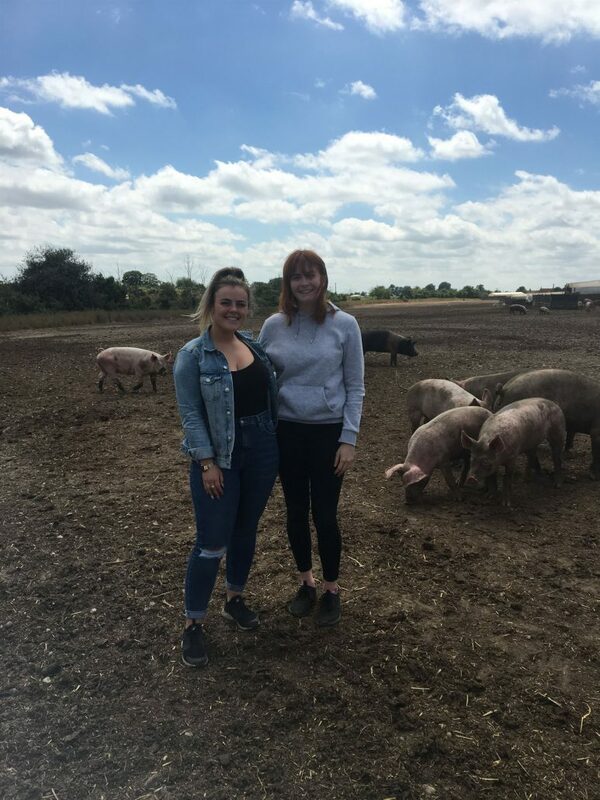 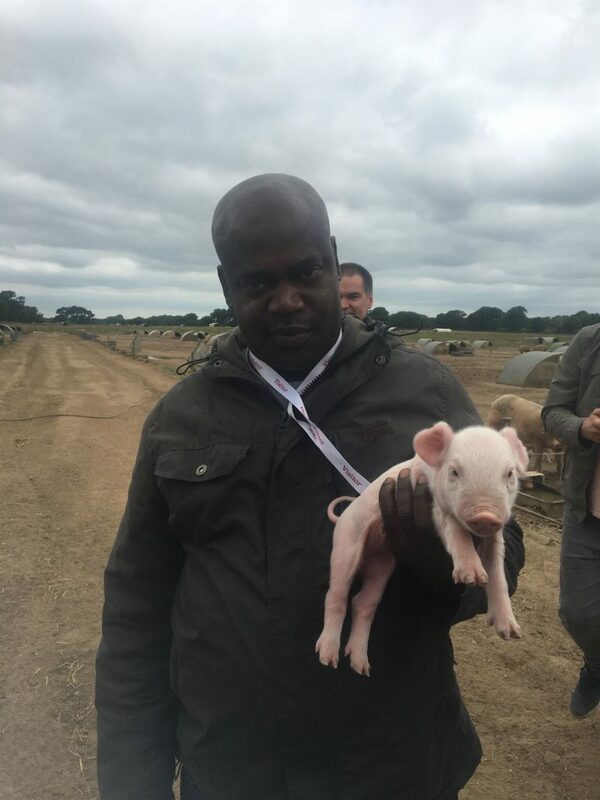 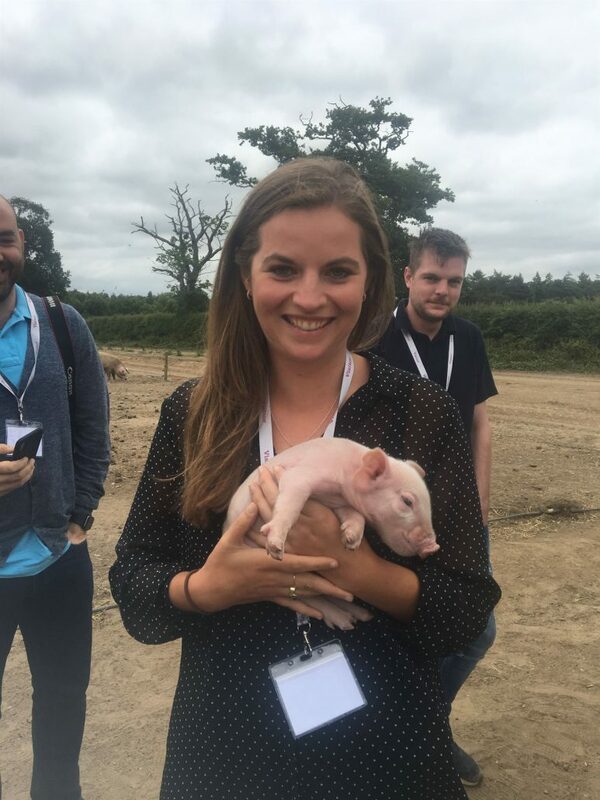 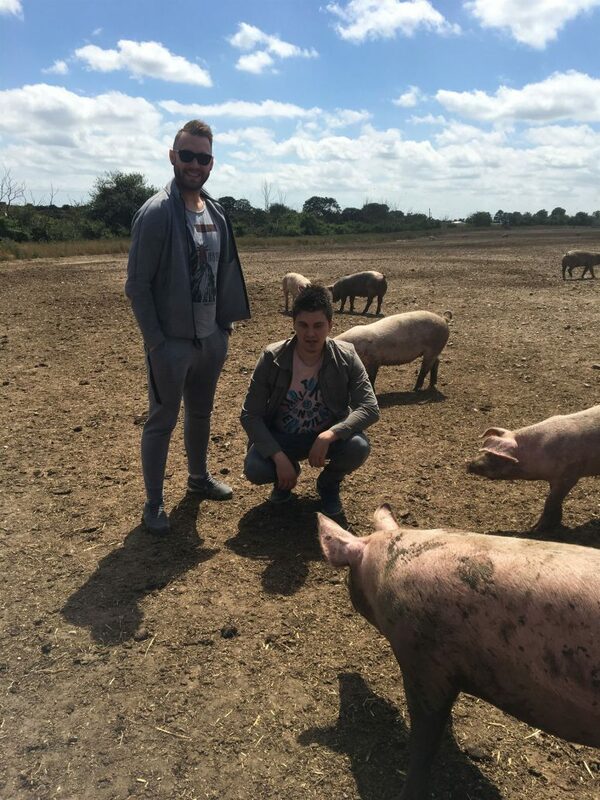 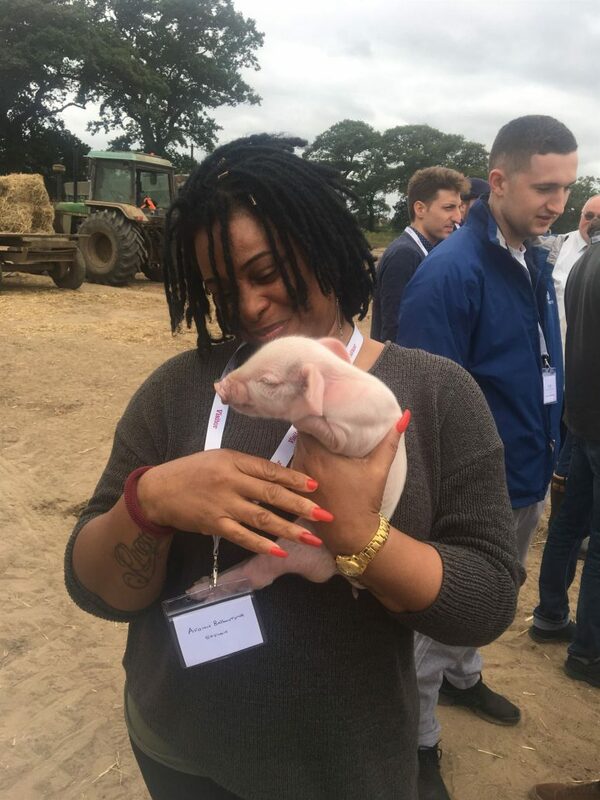 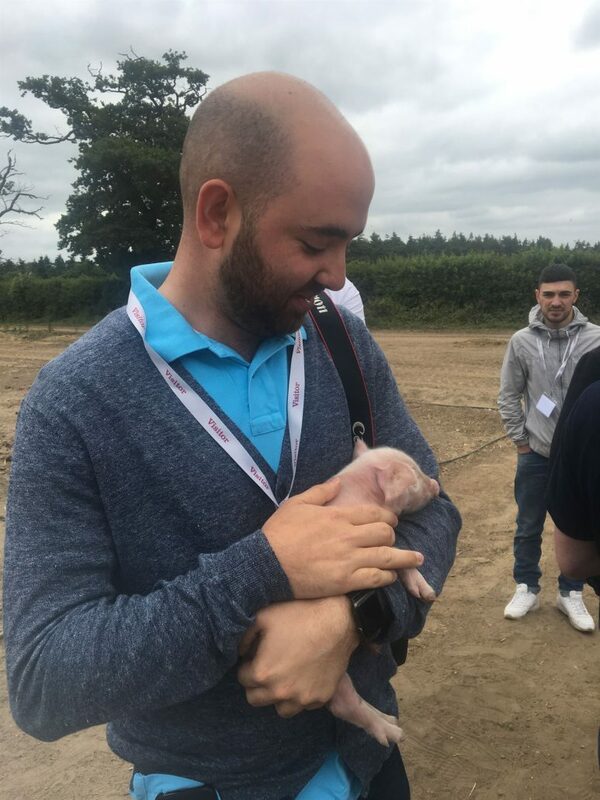 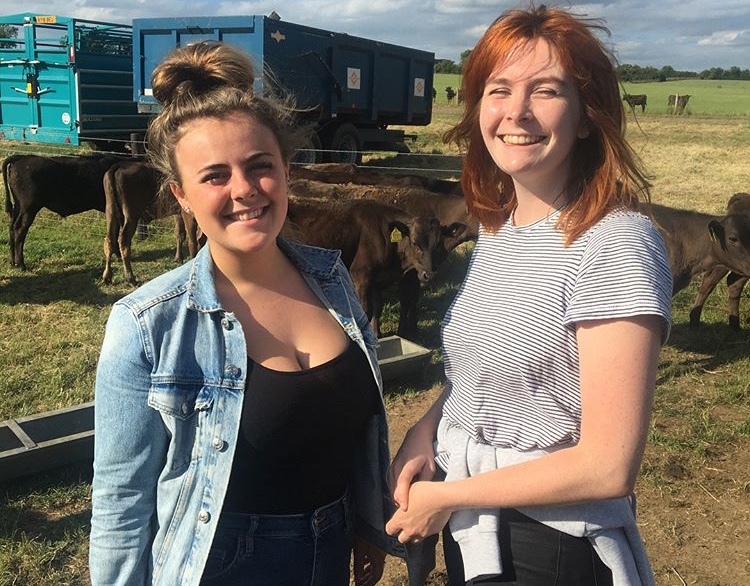 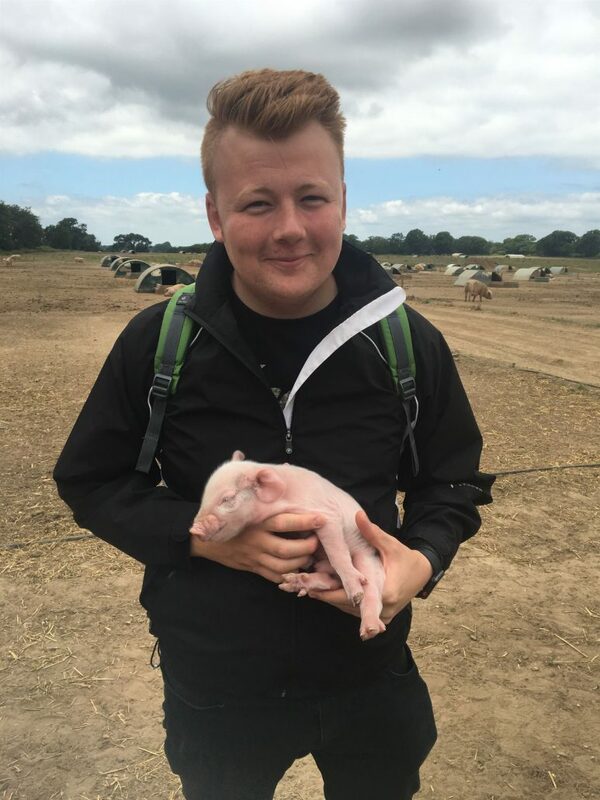 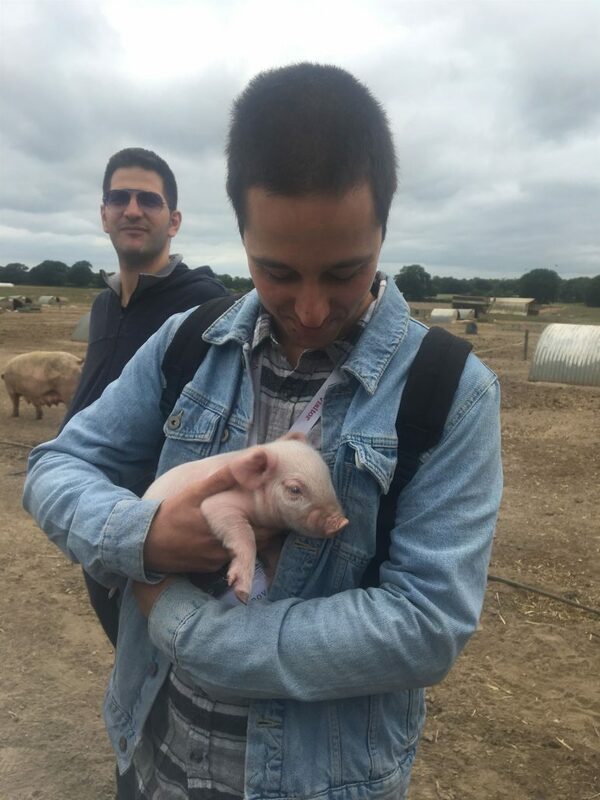 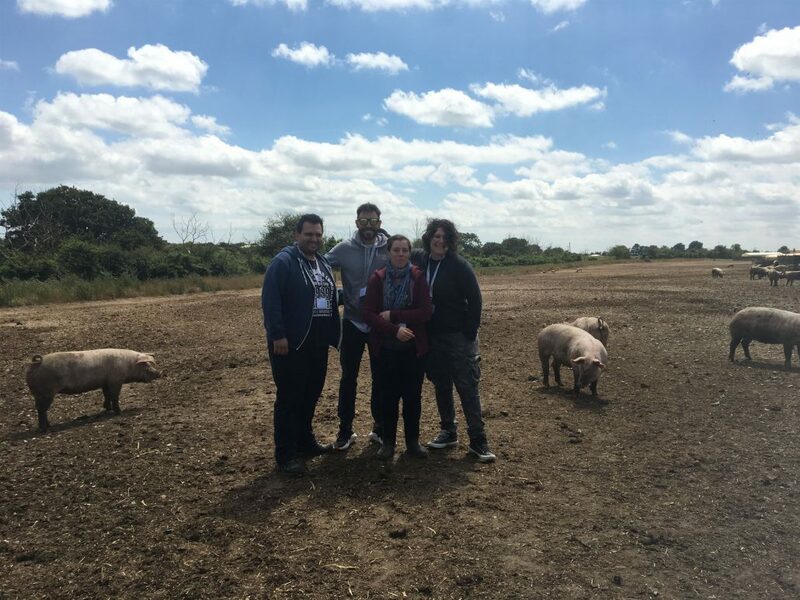 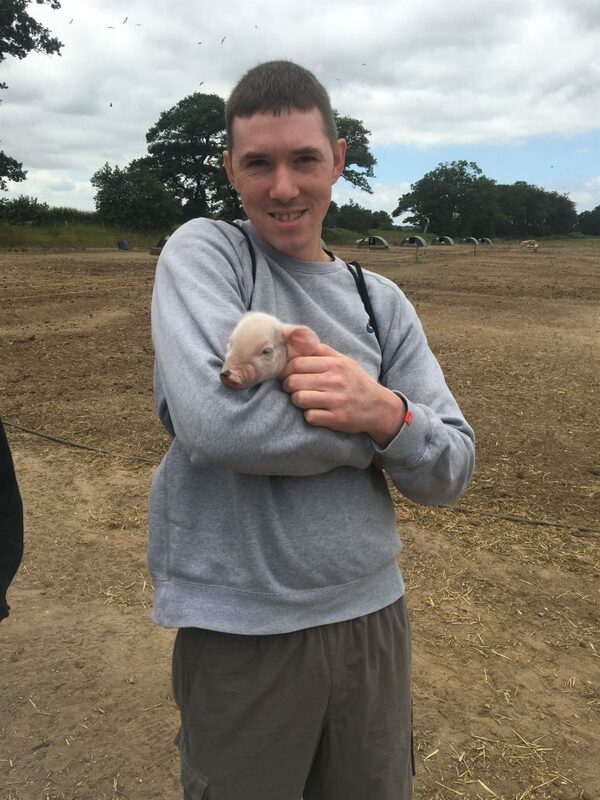 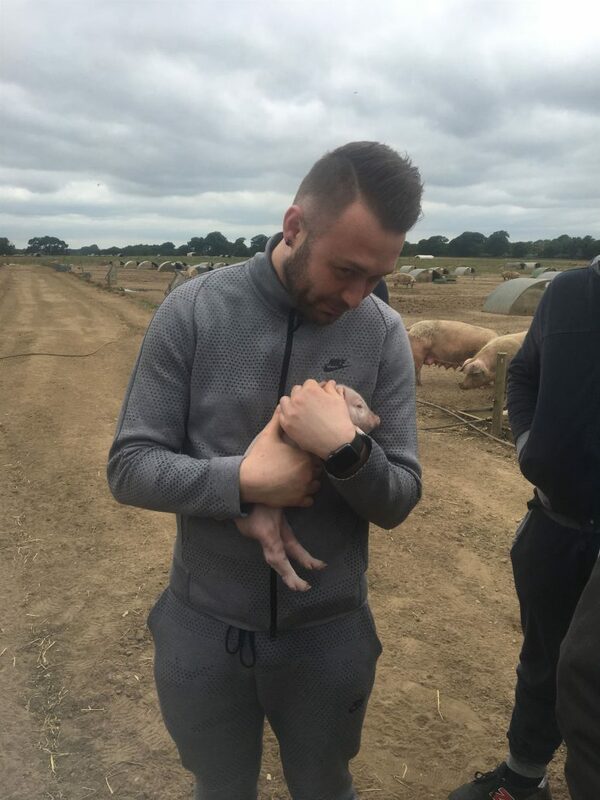 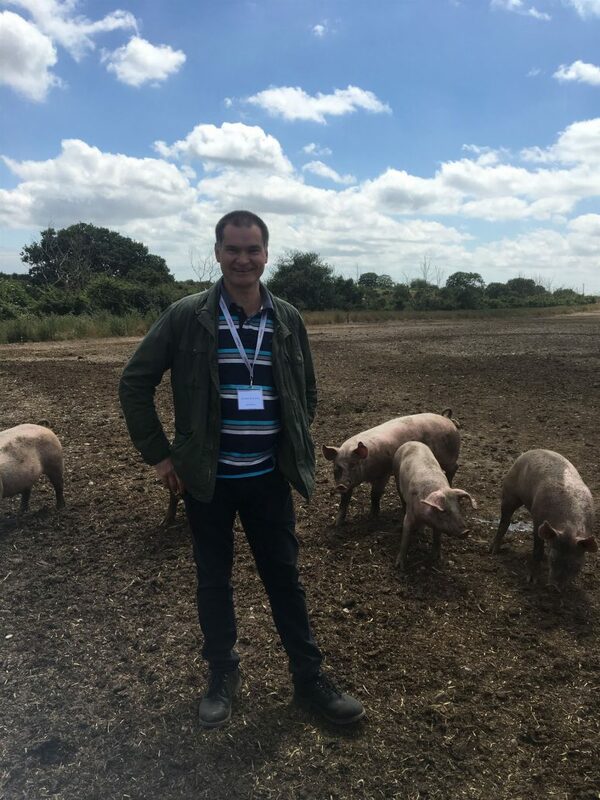 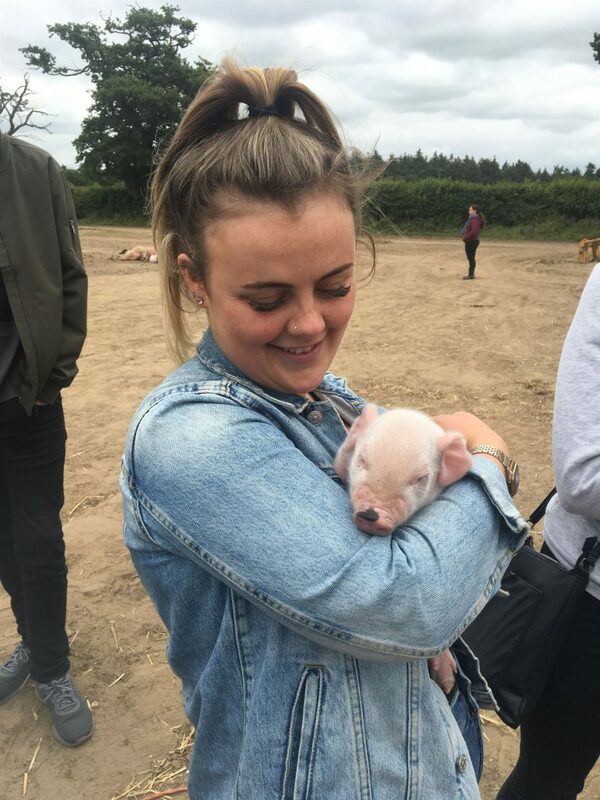 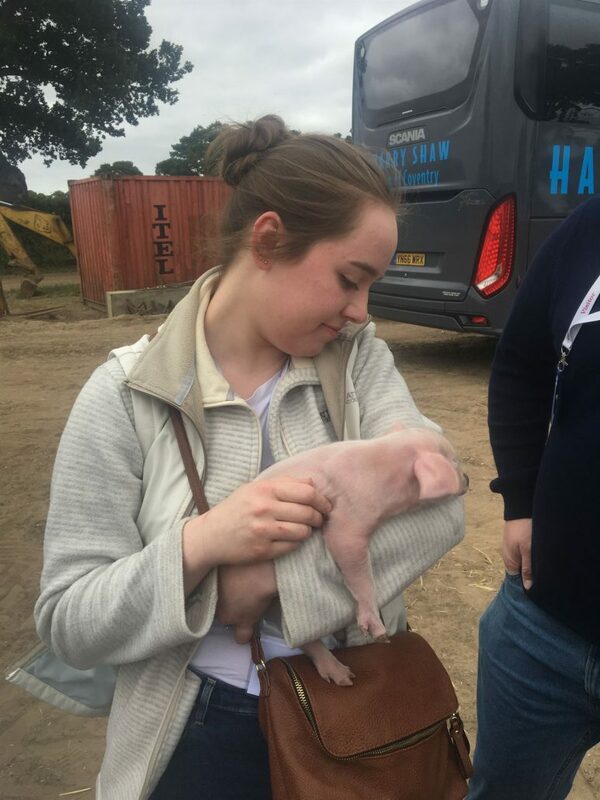 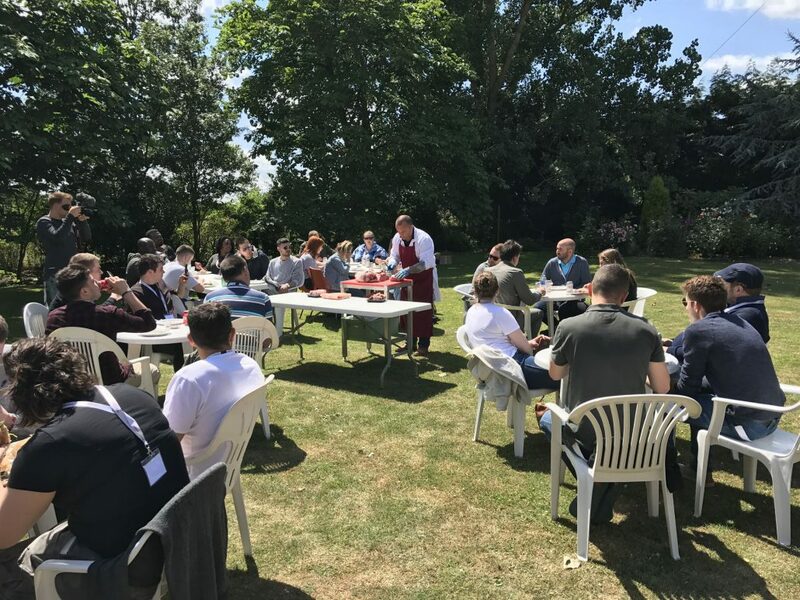 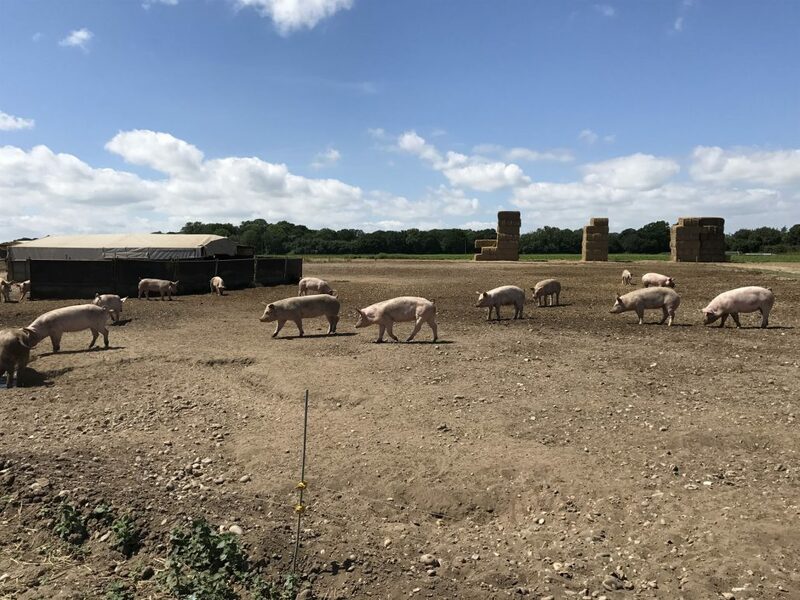 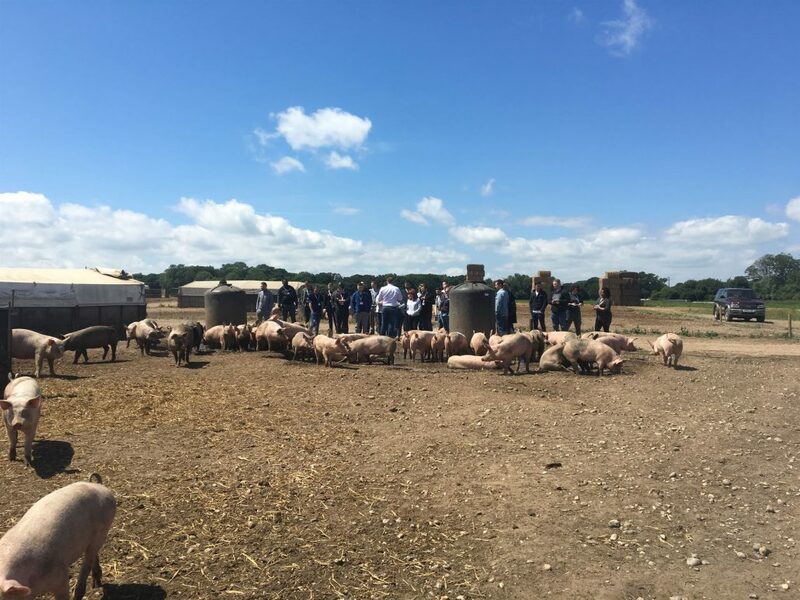 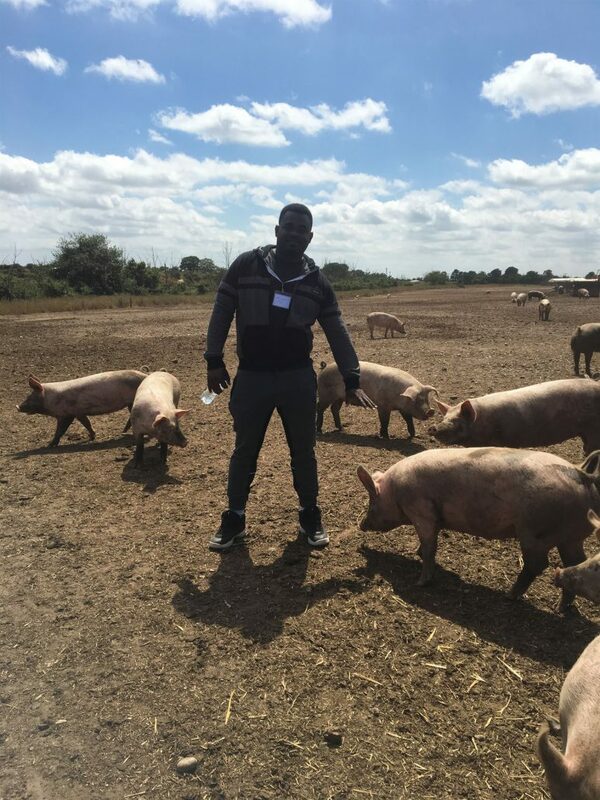 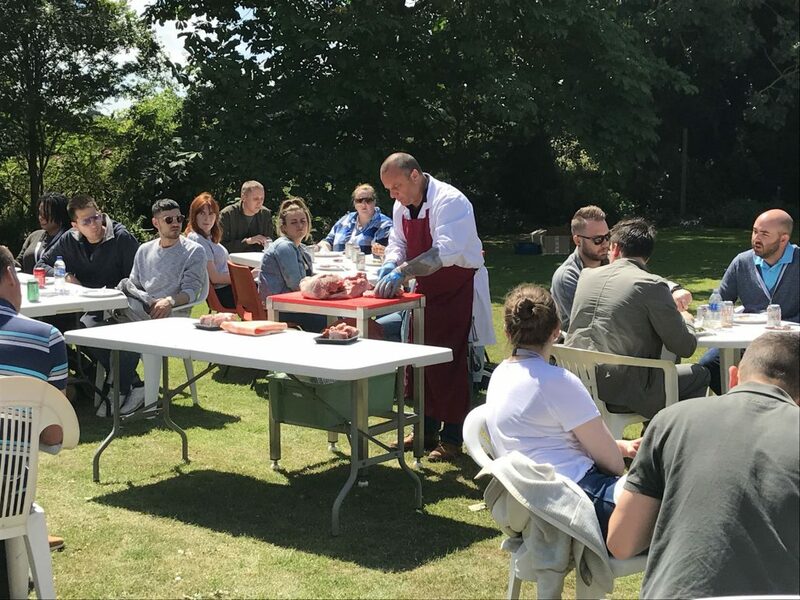 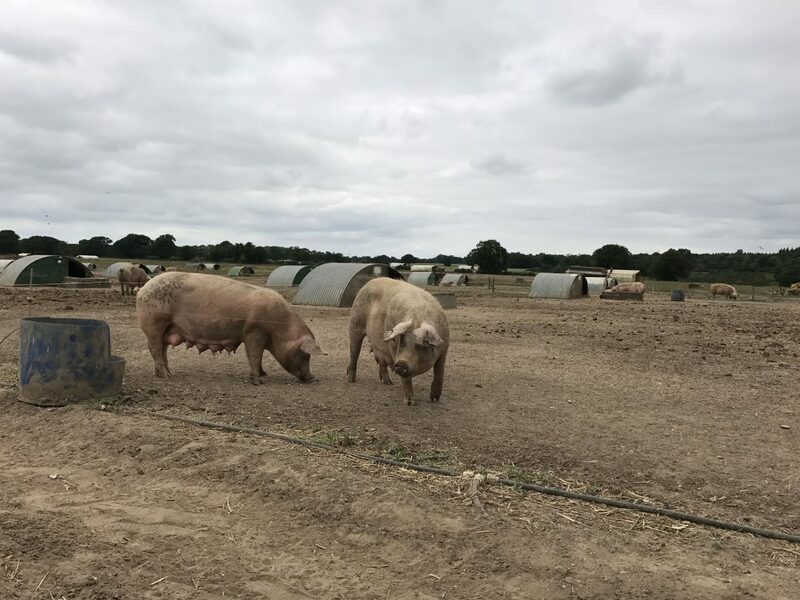 In June 2018, chefs joined Aubrey Allen on their annual farm trip to see Jimmy Butler and his free range Blythburgh pigs. 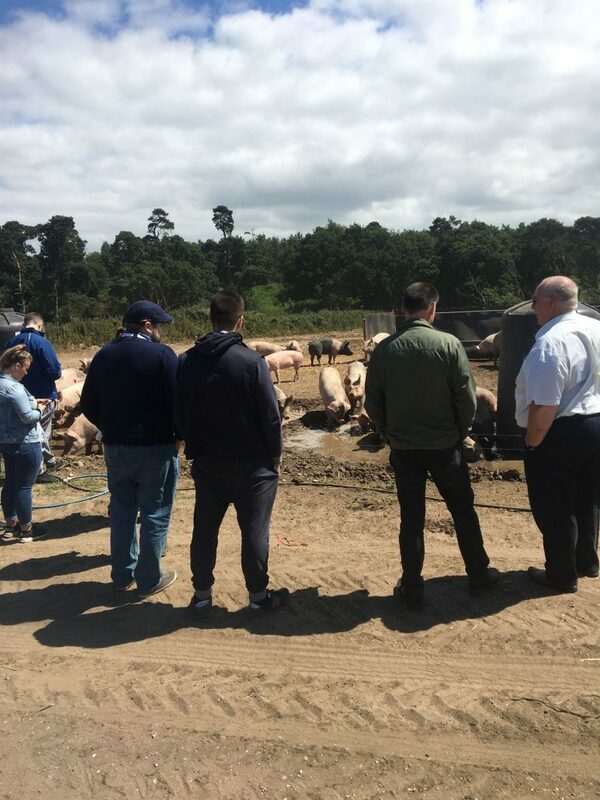 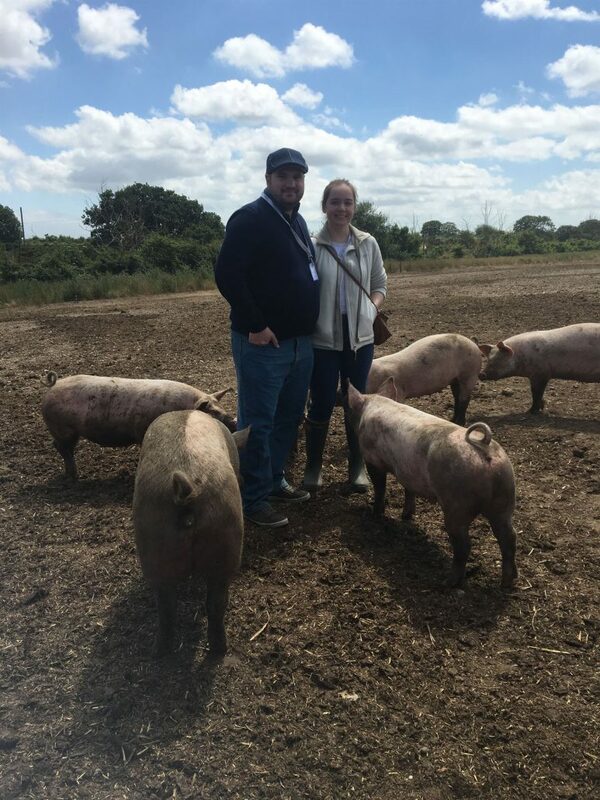 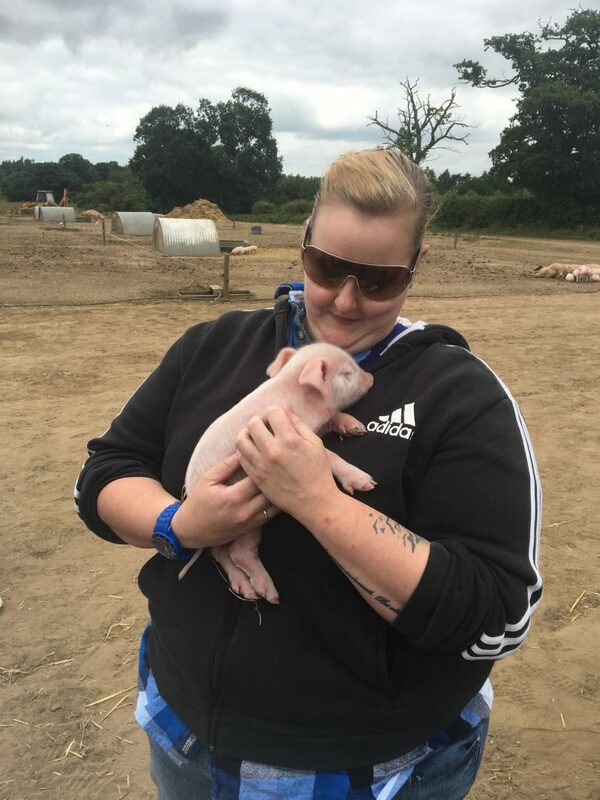 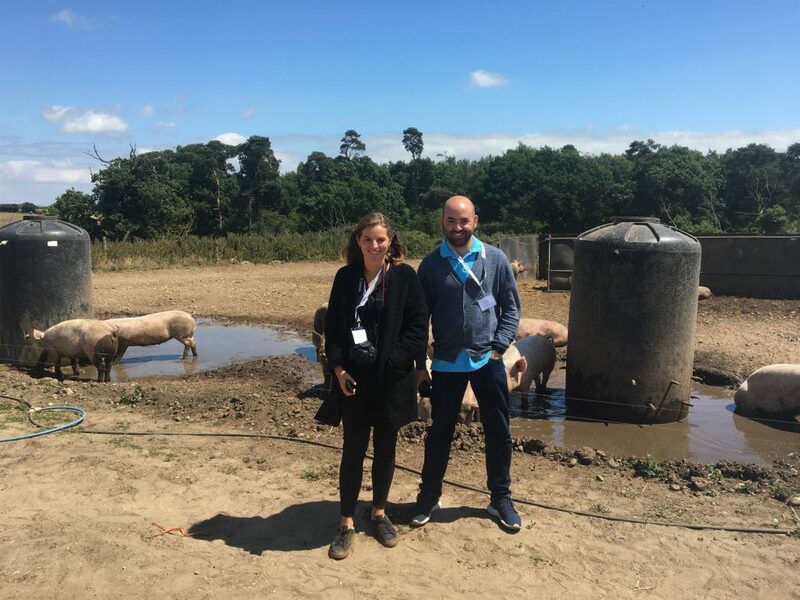 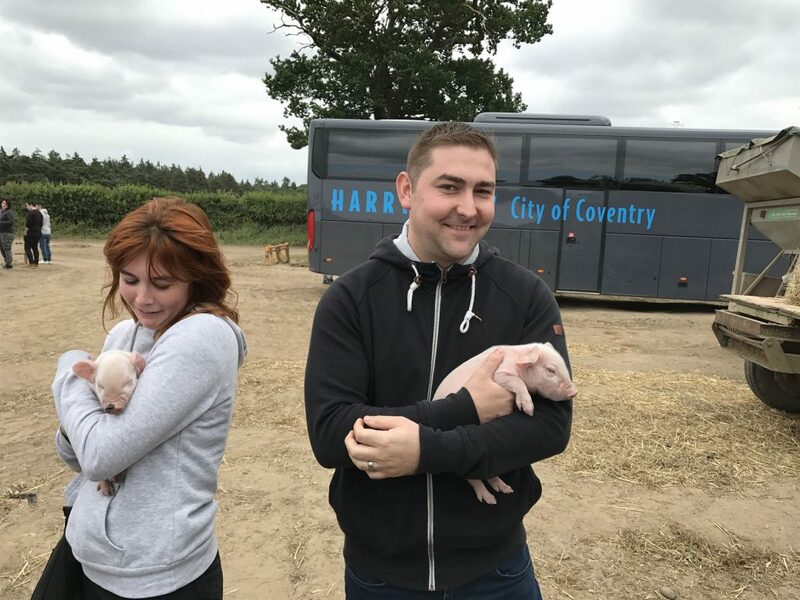 Chefs were able to see first hand the process of free range pig farming and the passion the Butler family have for animal welfare. 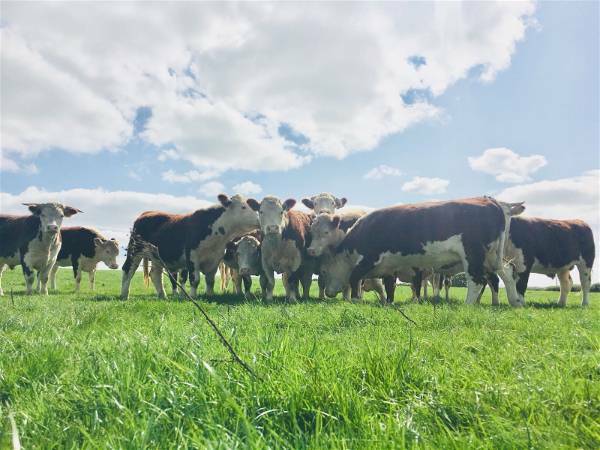 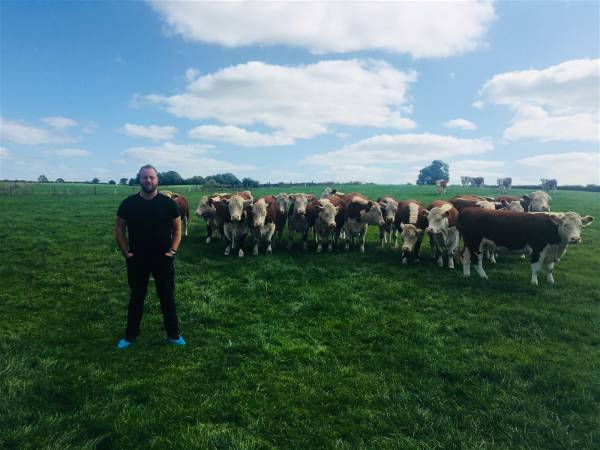 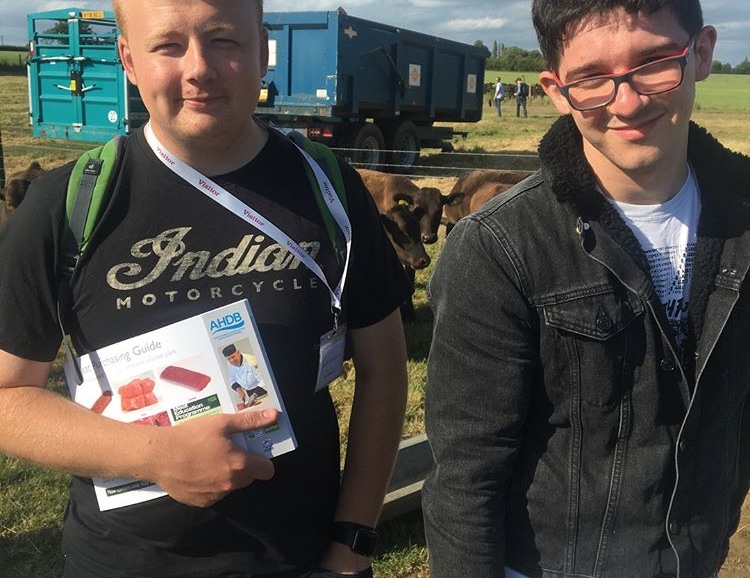 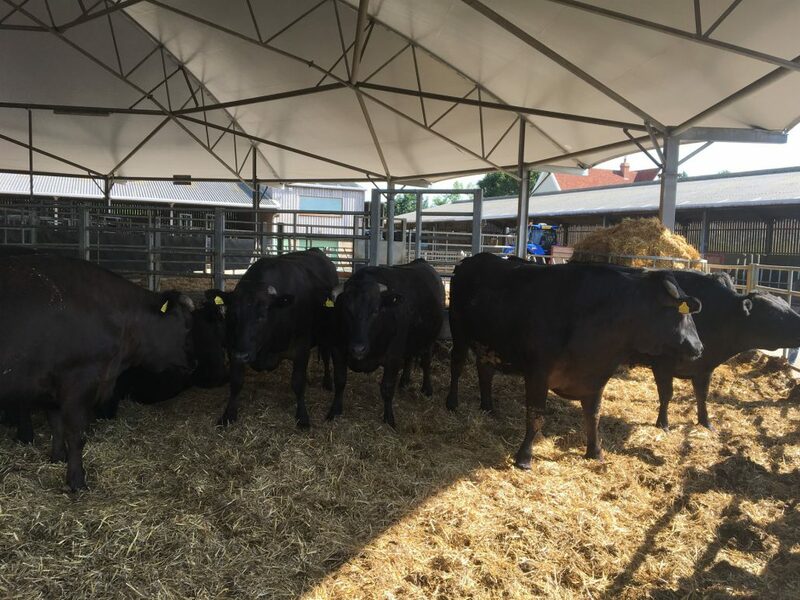 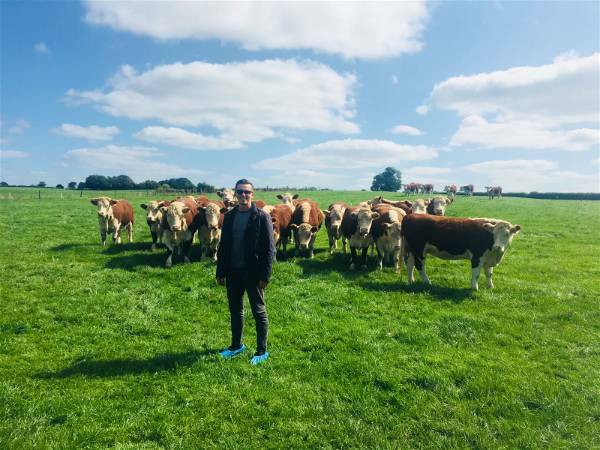 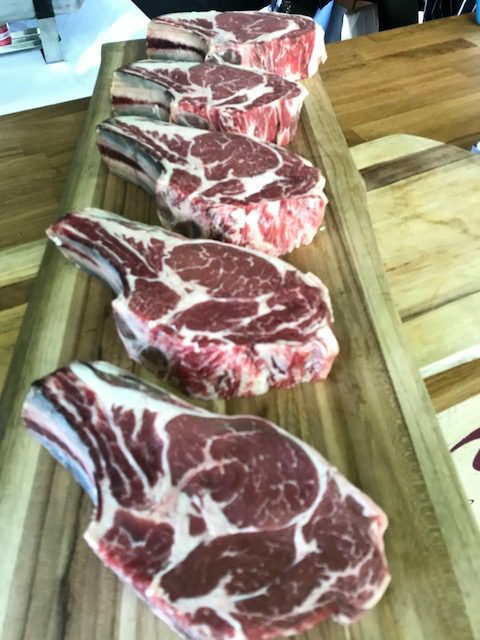 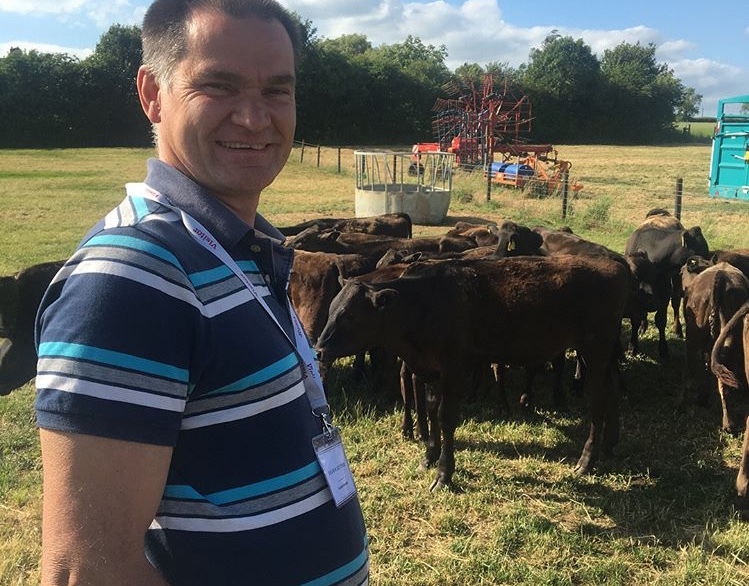 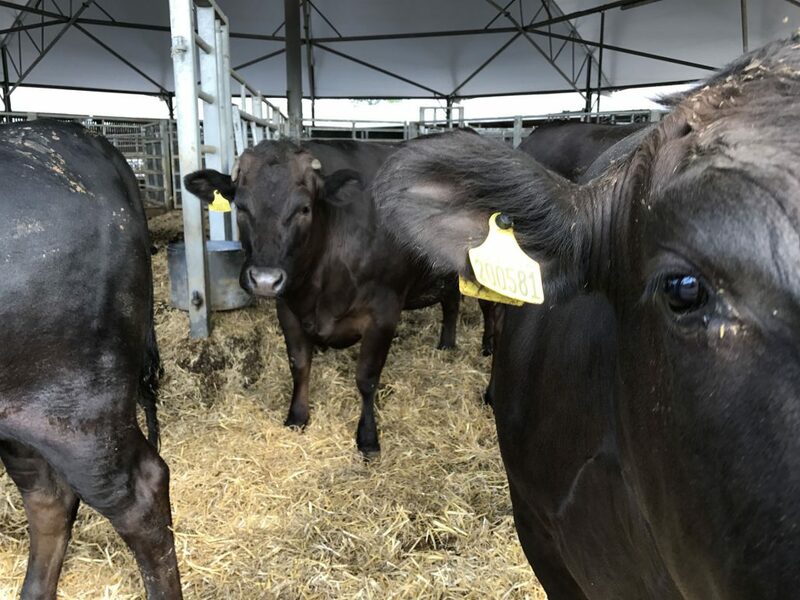 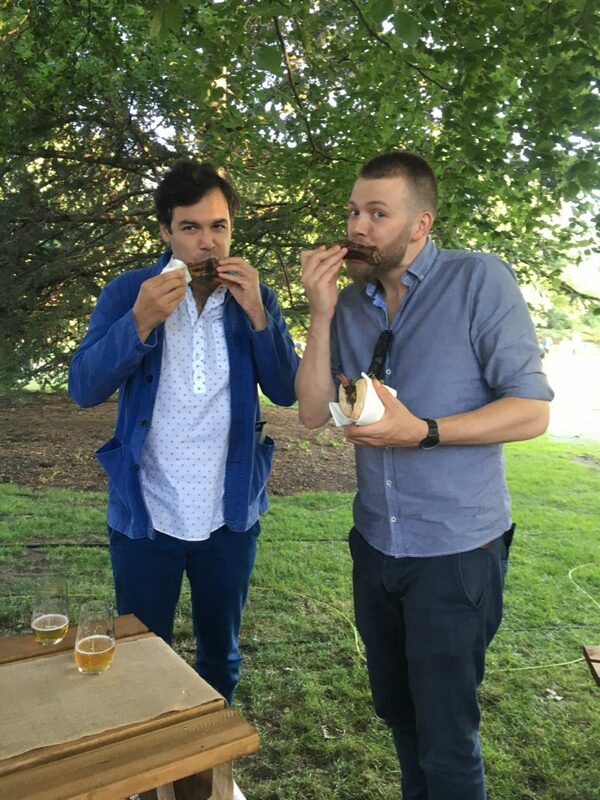 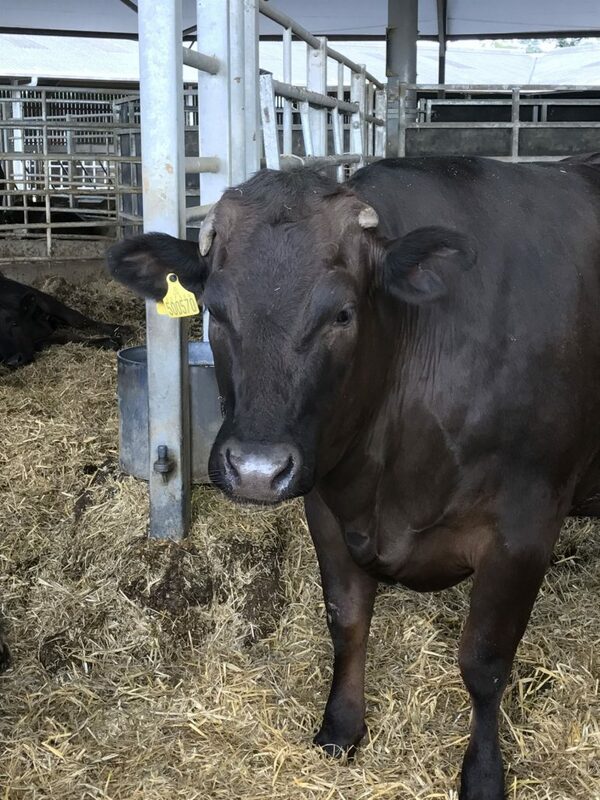 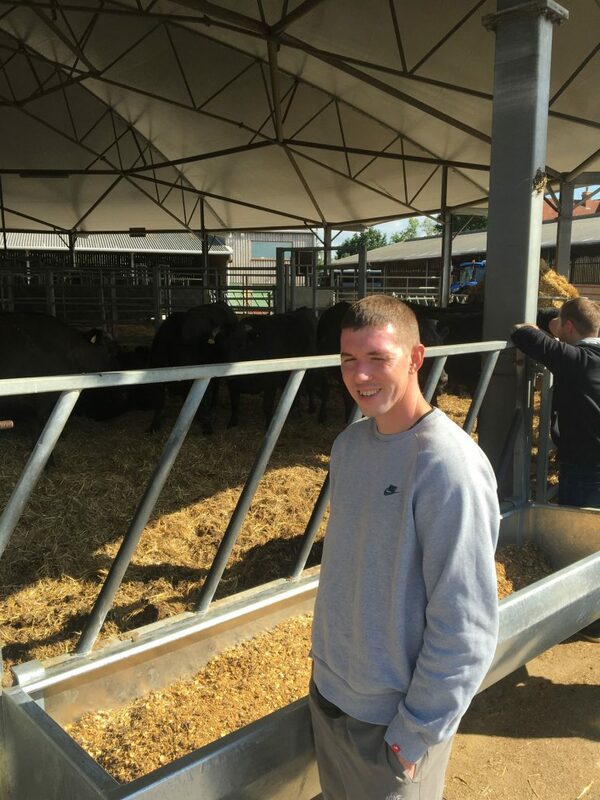 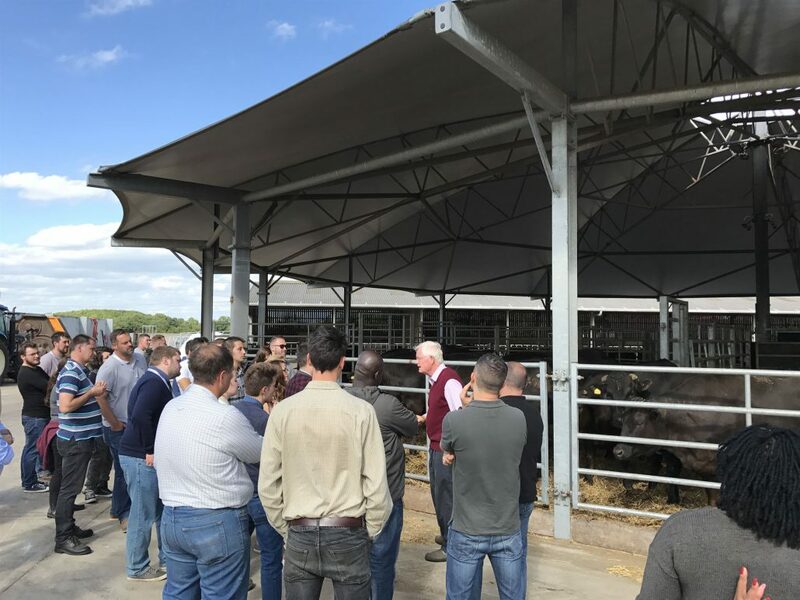 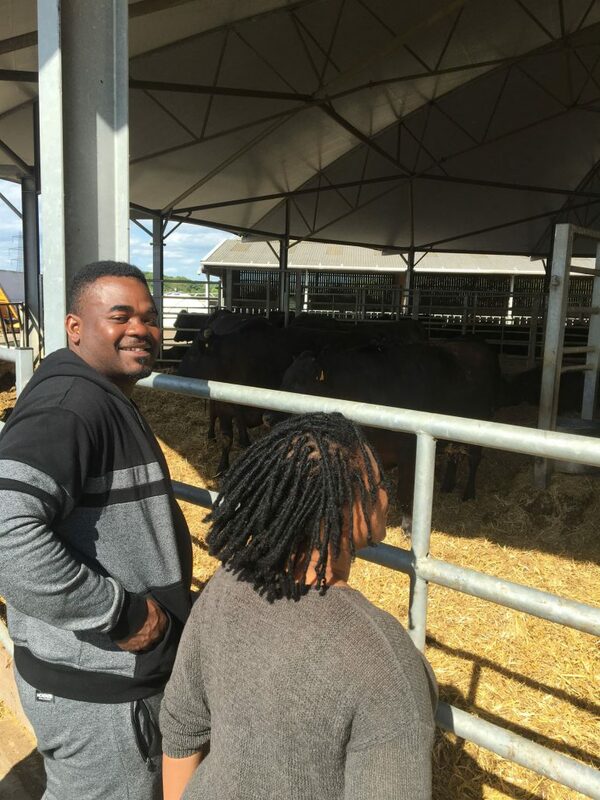 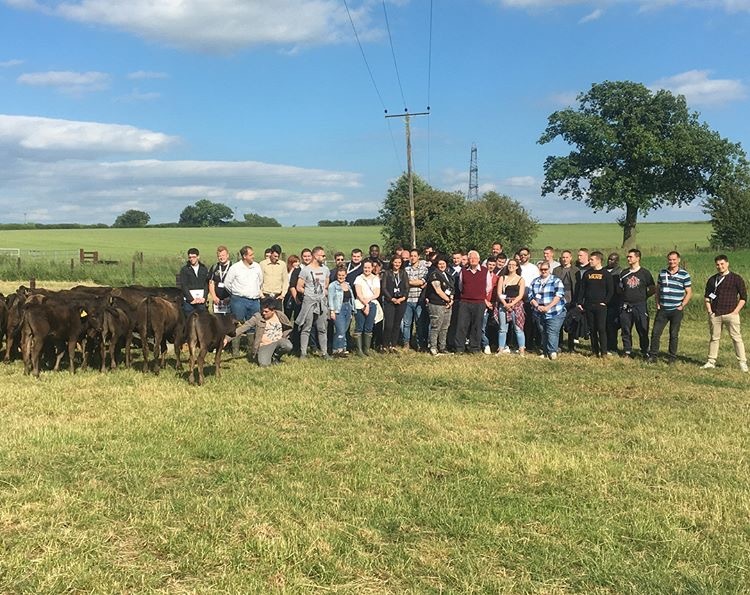 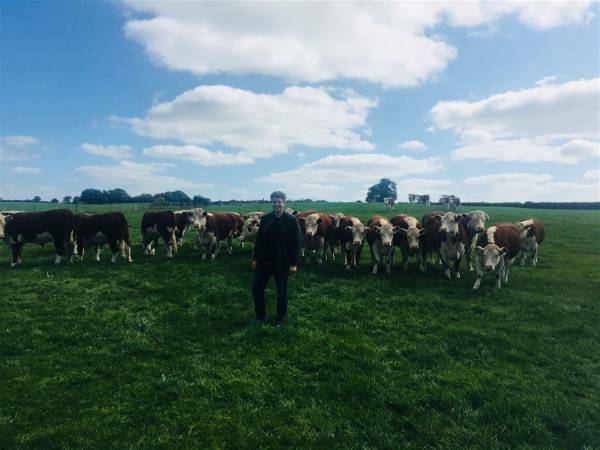 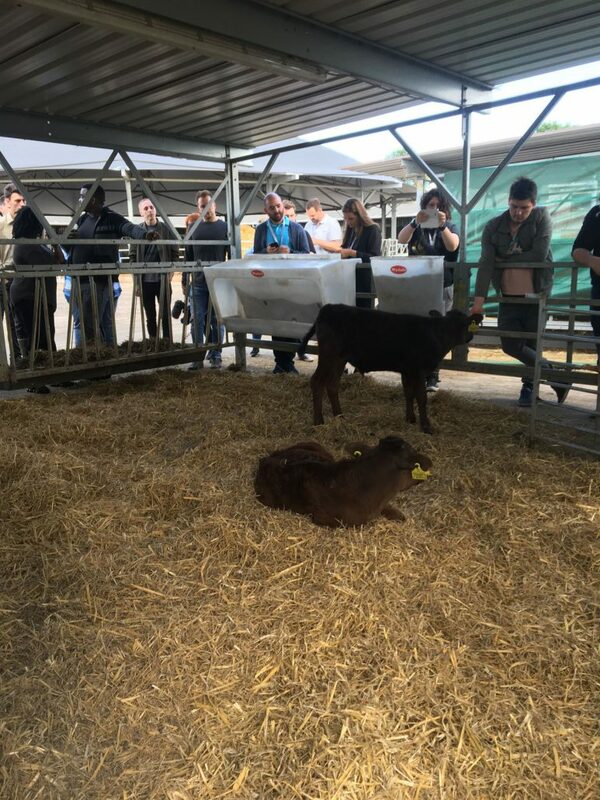 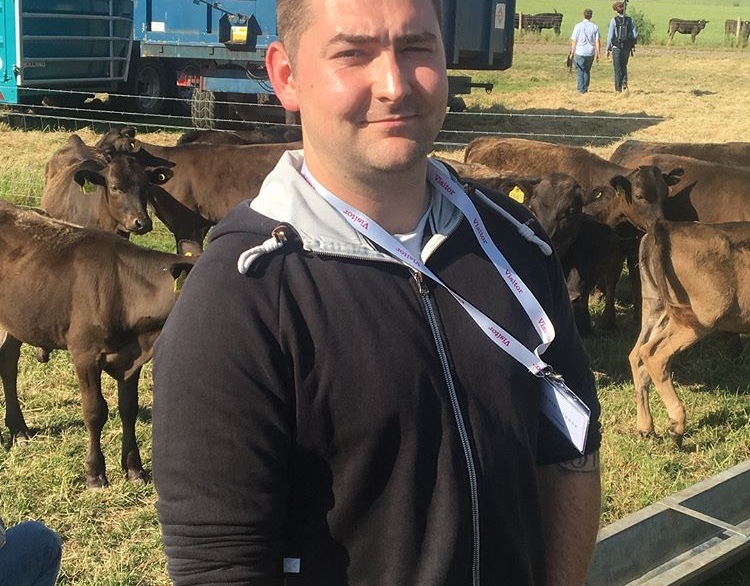 In June 2018, chefs joined Aubrey Allen to visit Earl Stonham Wagyu Farm to see the magnificent British grass fed Wagyu cattle. 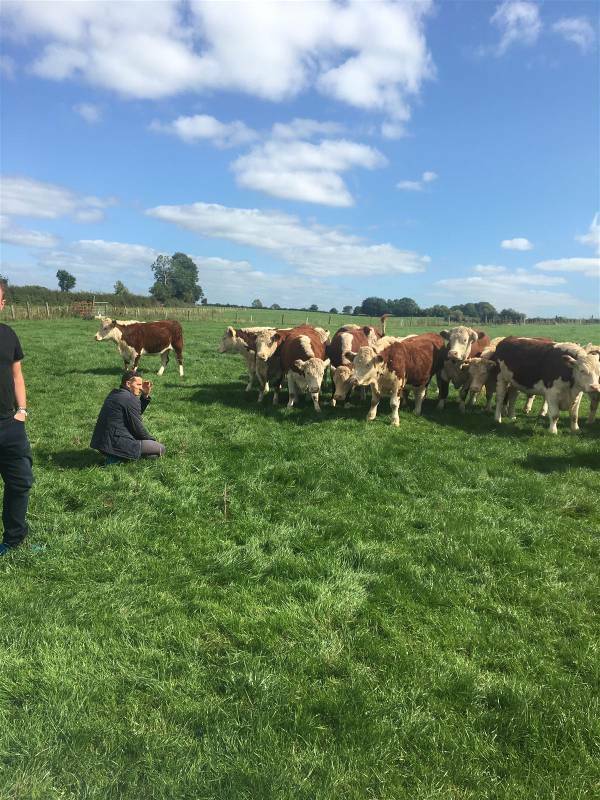 Chefs met Andrew Deacon and saw the passion he has for the cattle that he ethically rears in Suffolk. 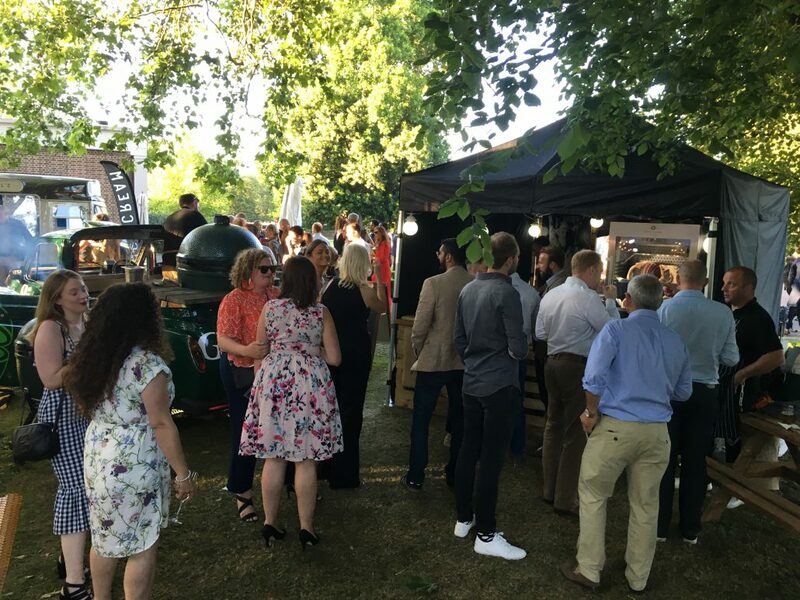 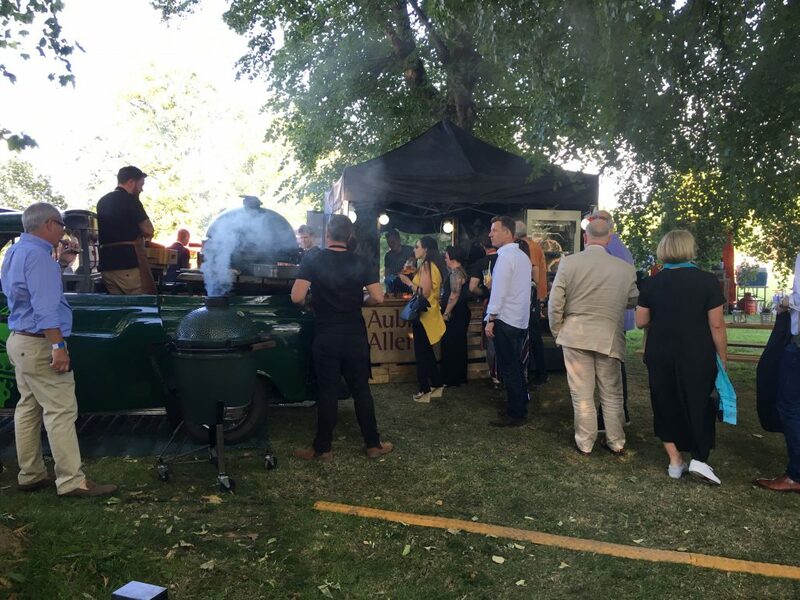 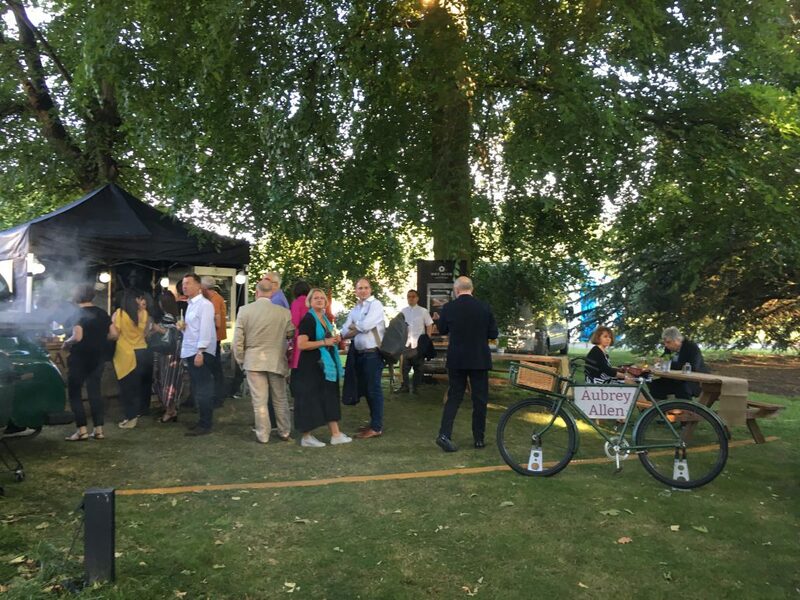 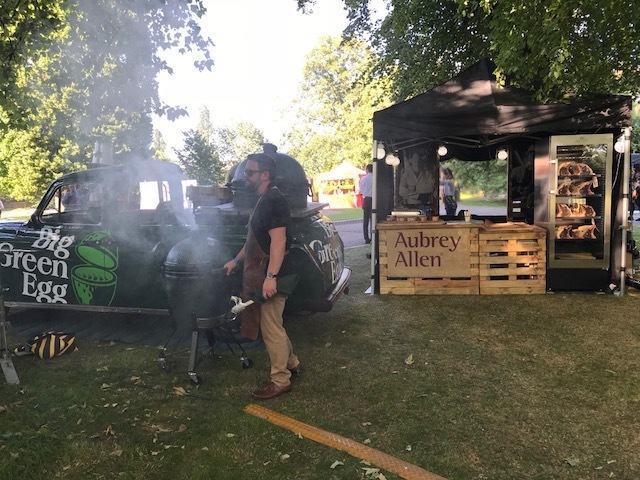 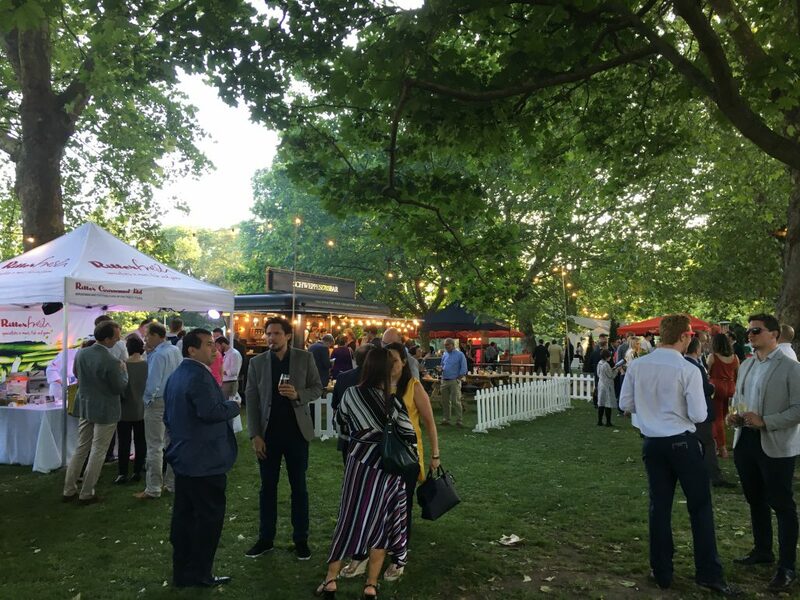 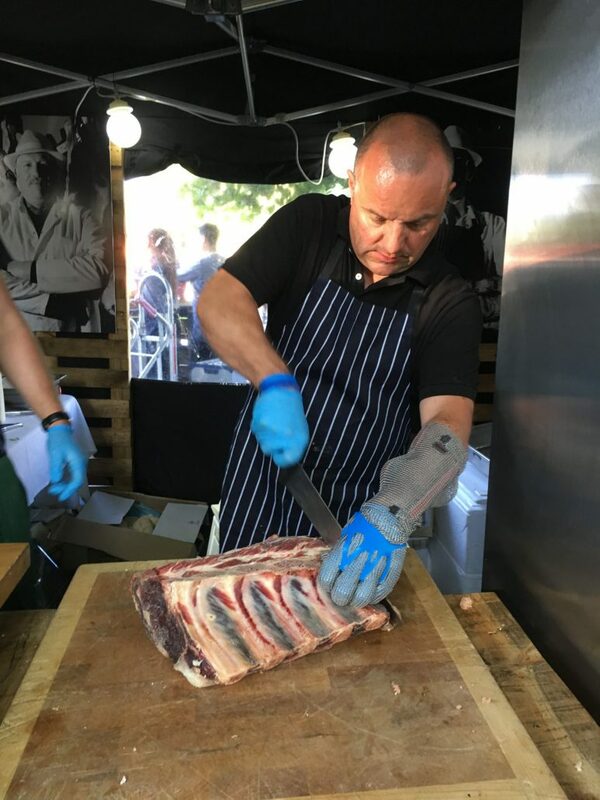 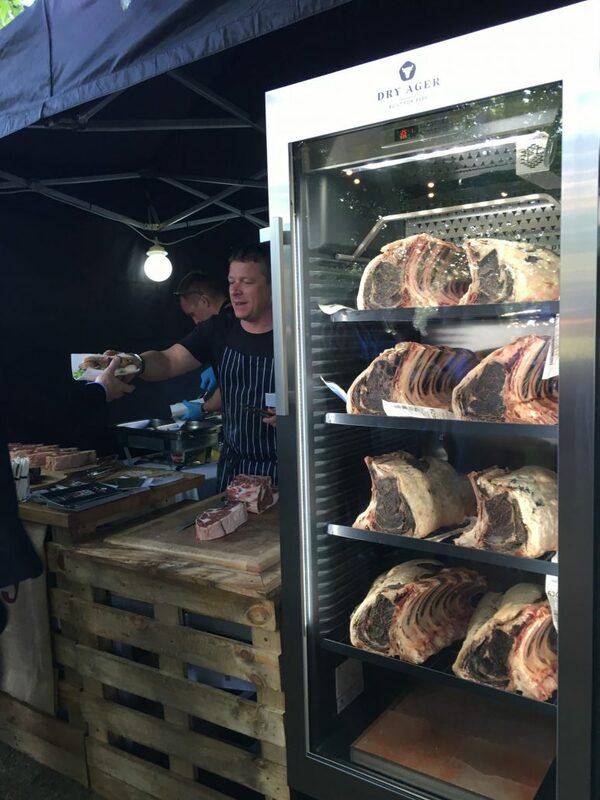 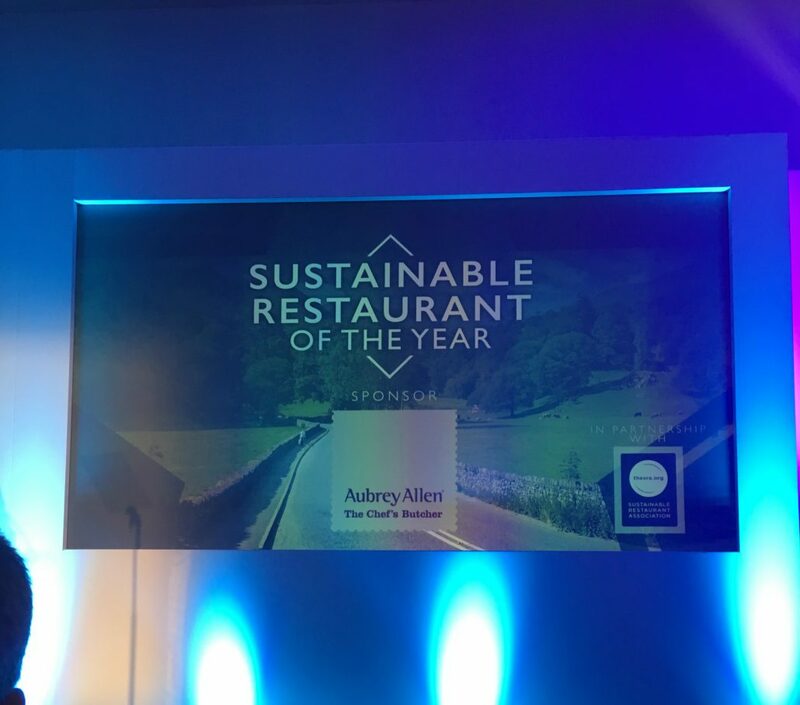 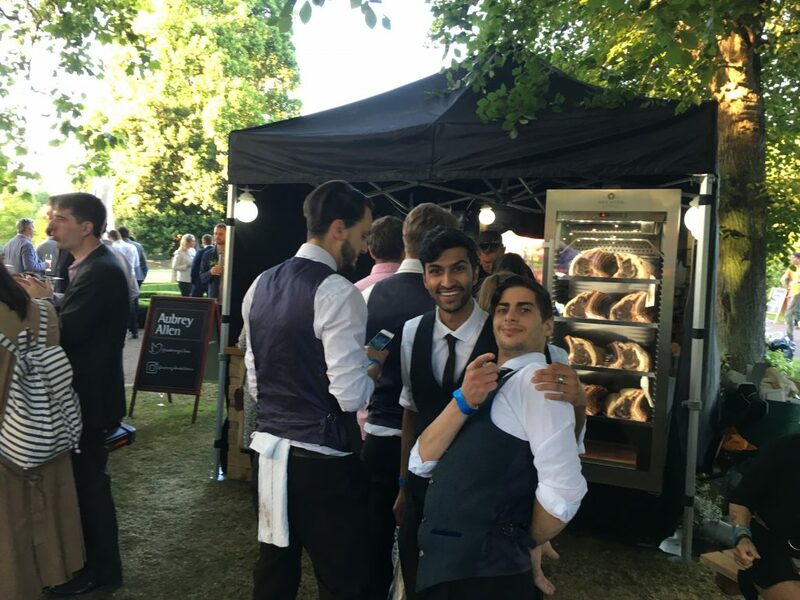 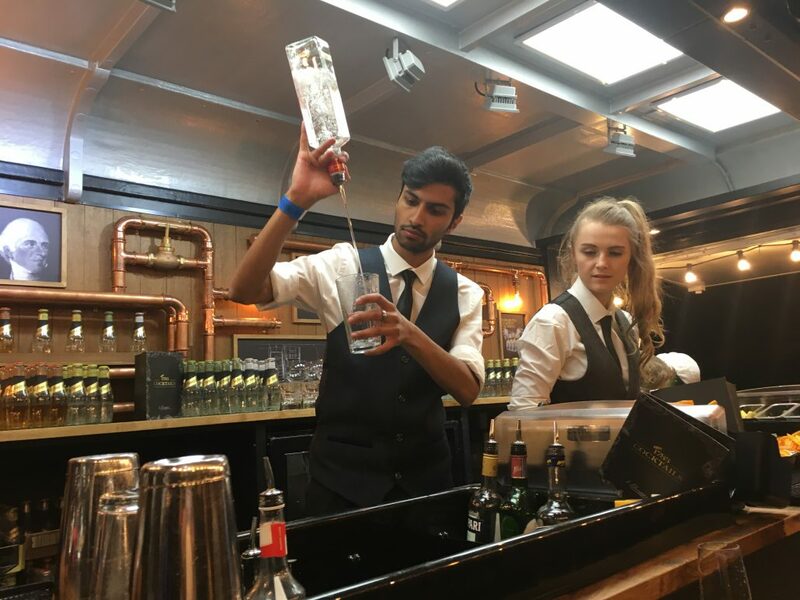 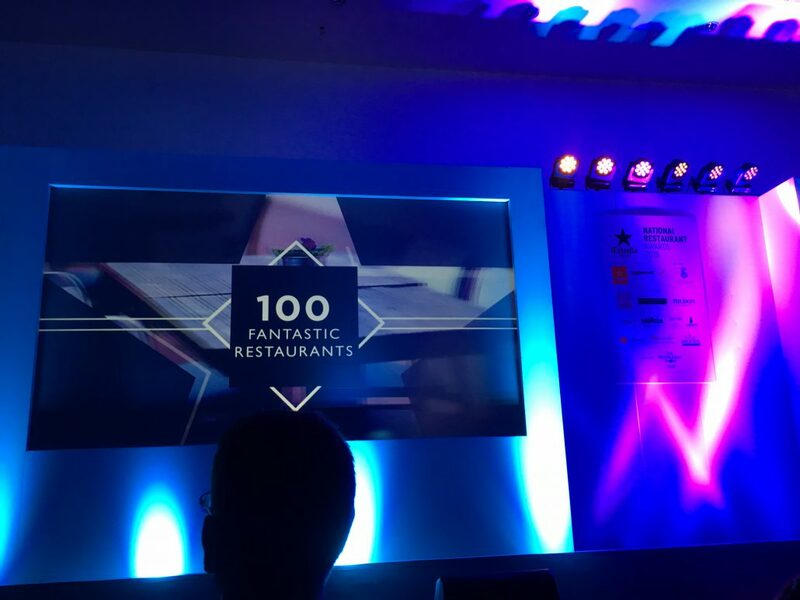 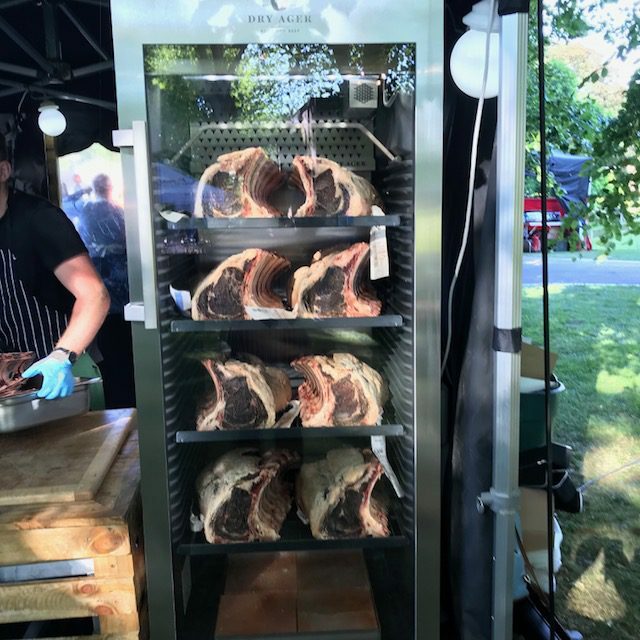 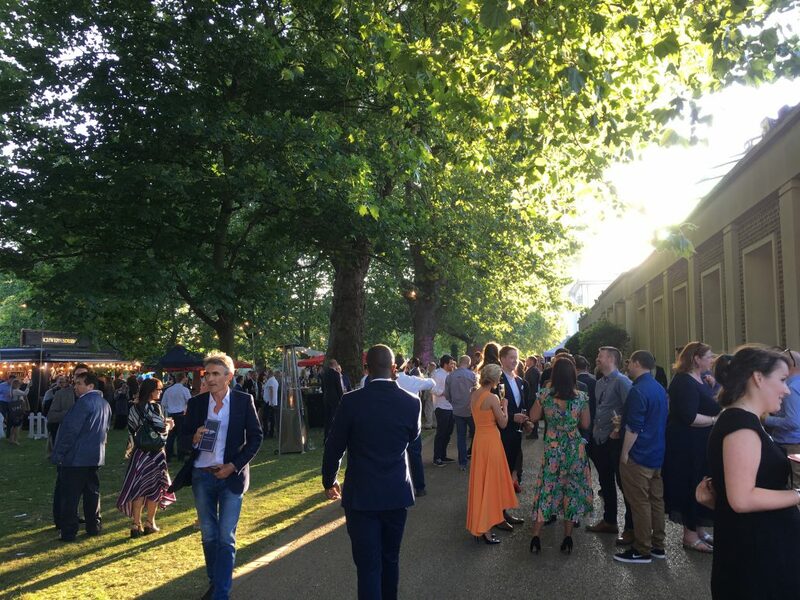 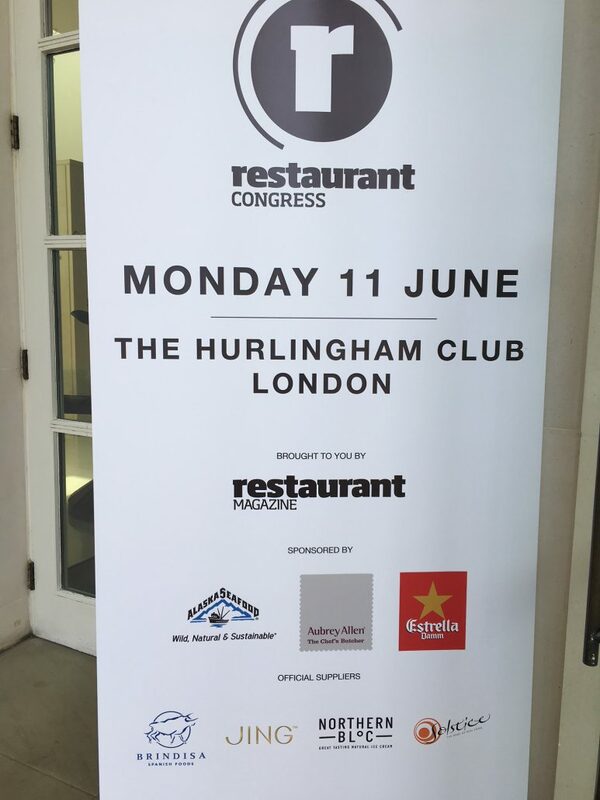 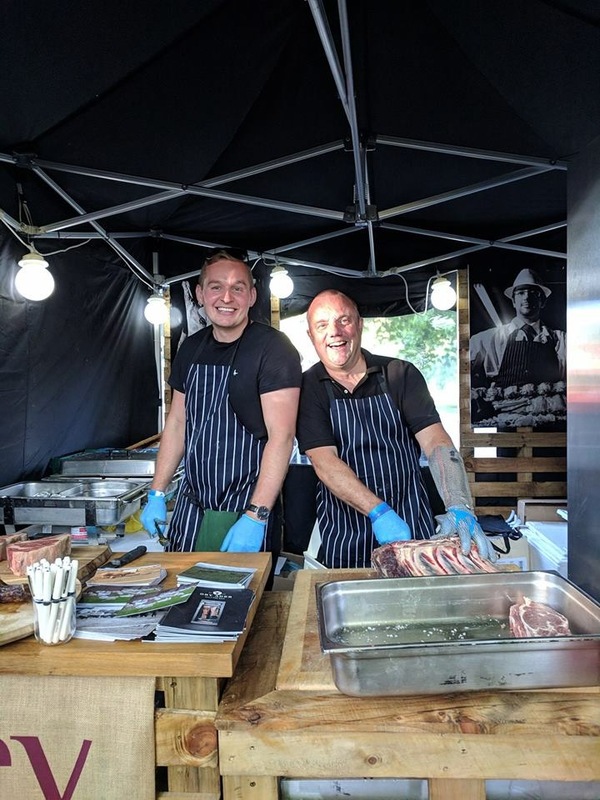 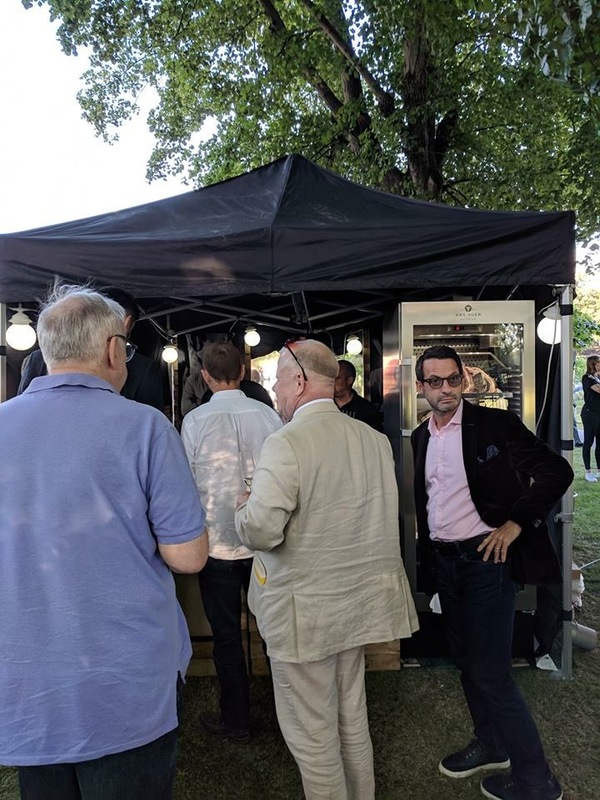 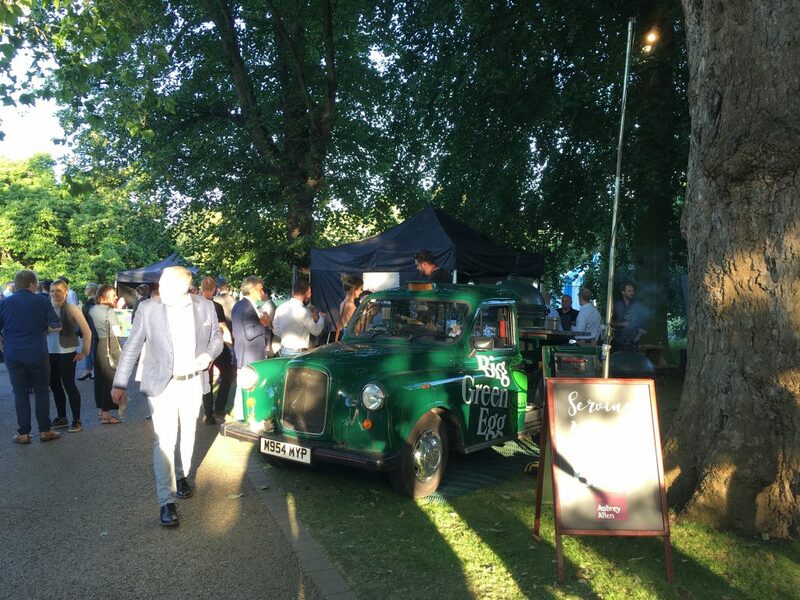 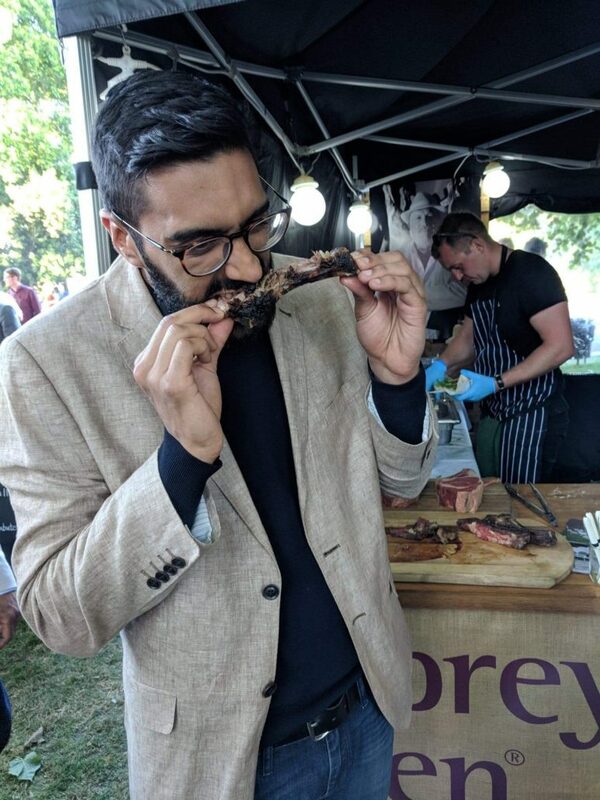 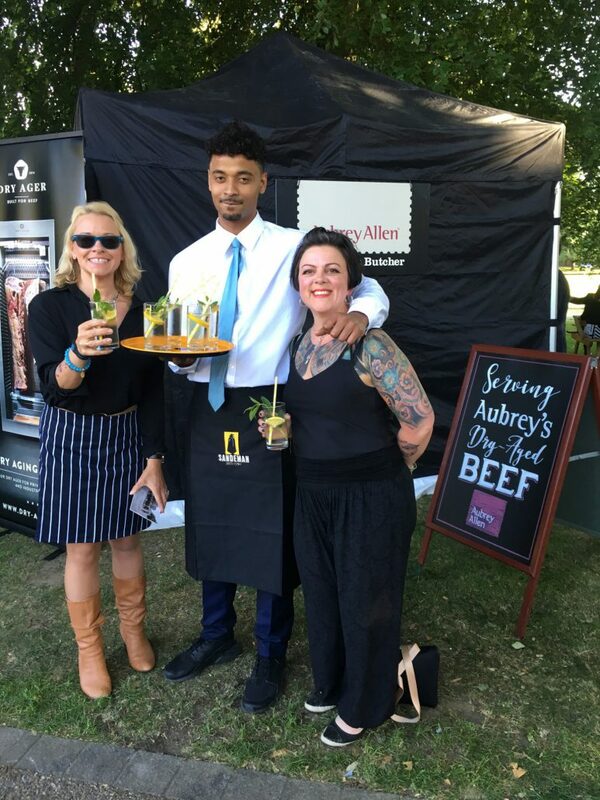 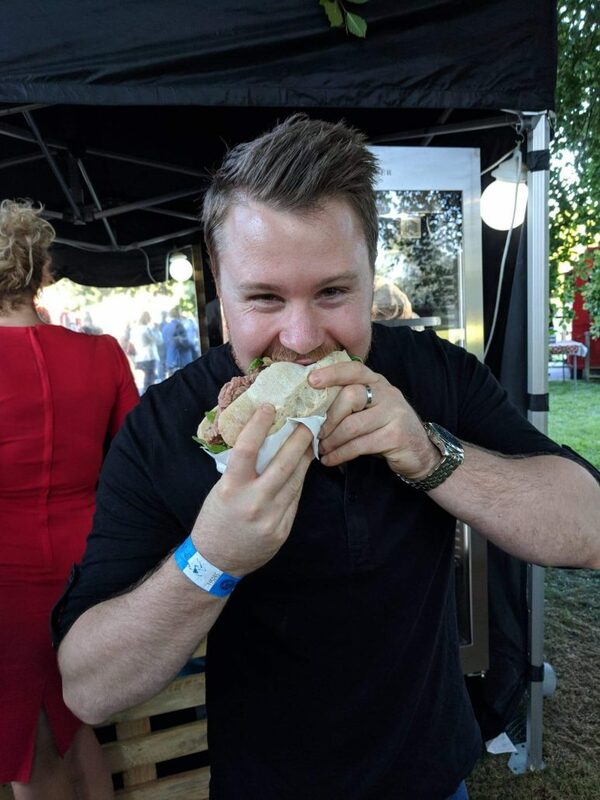 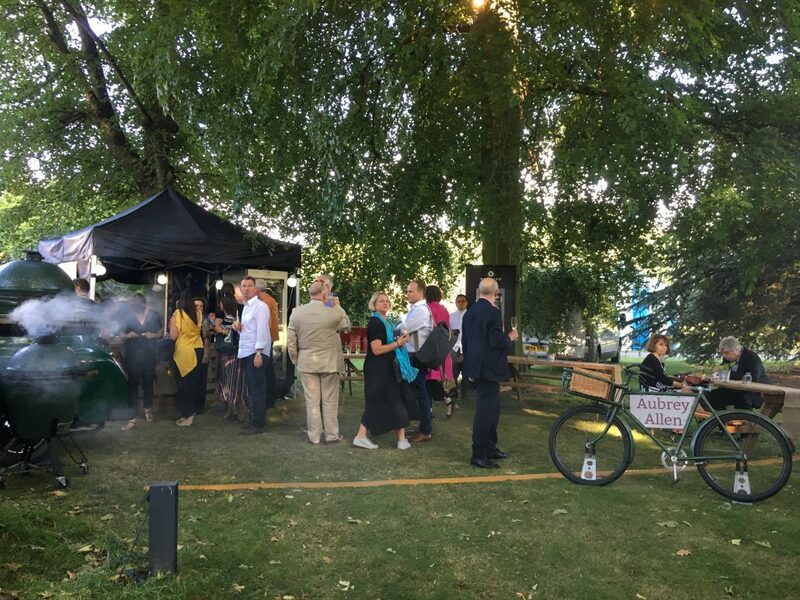 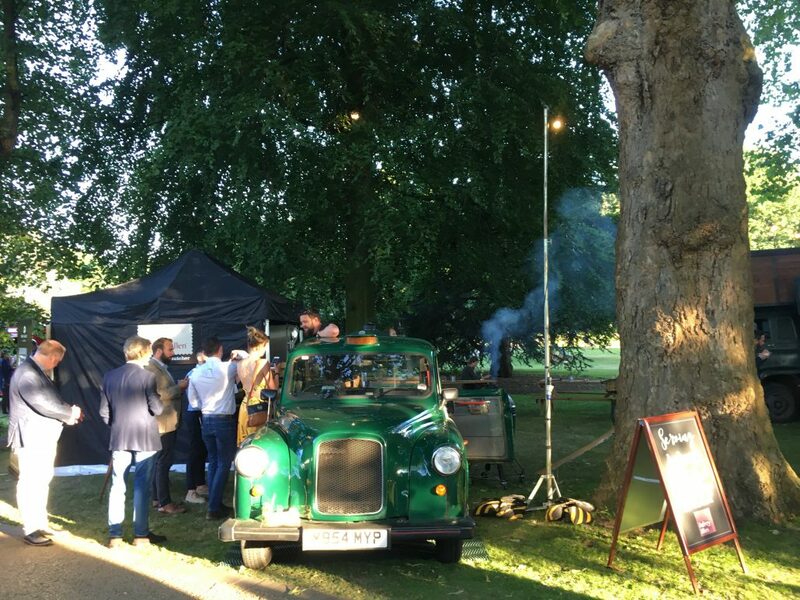 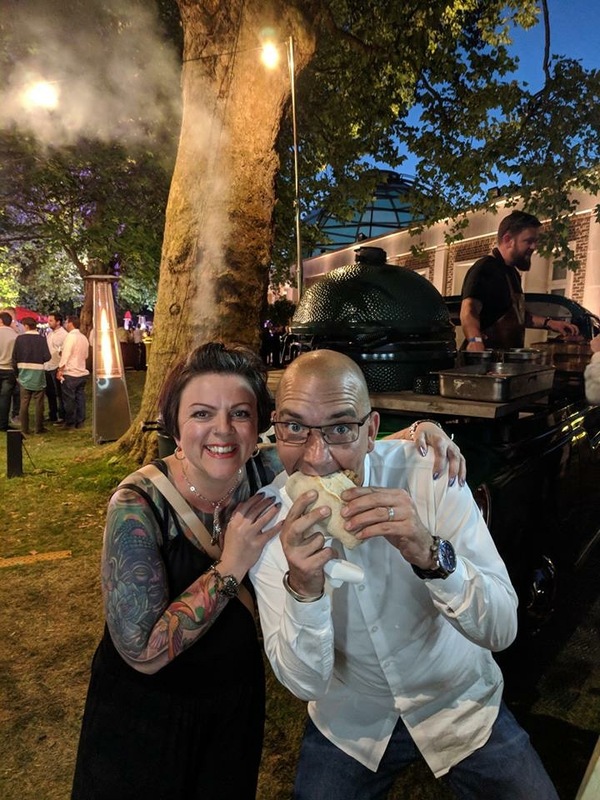 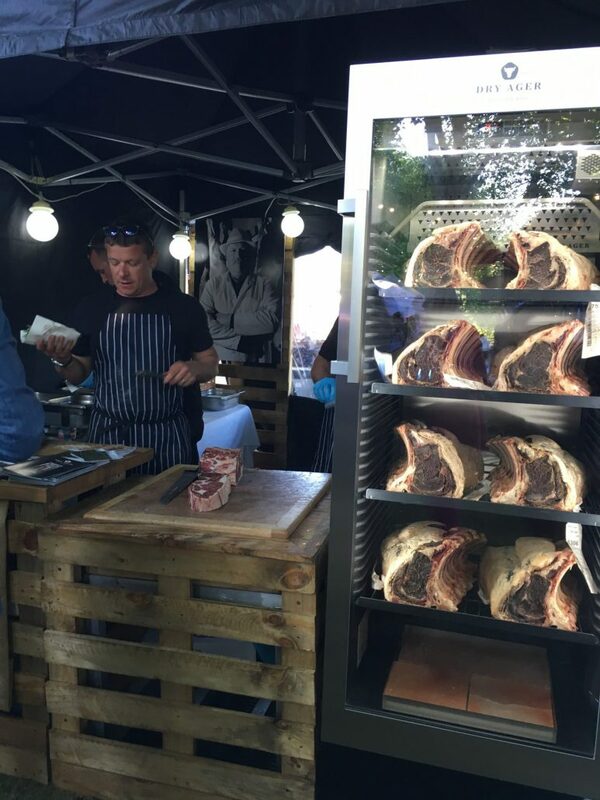 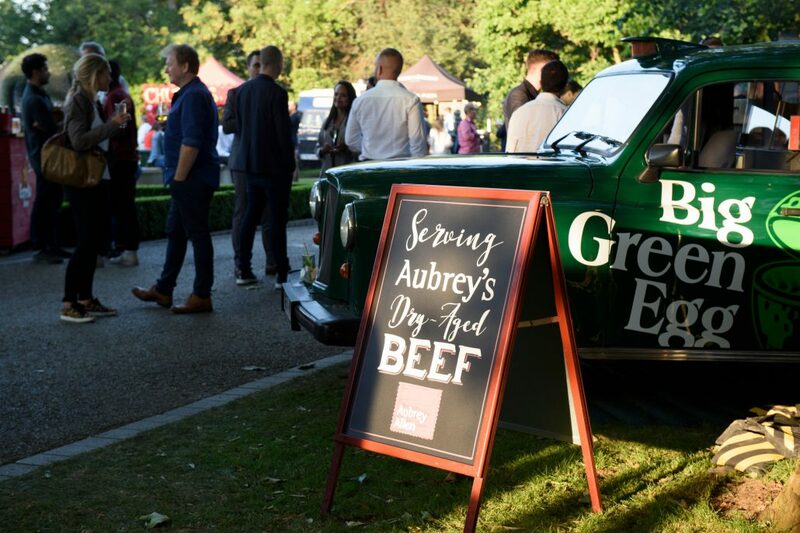 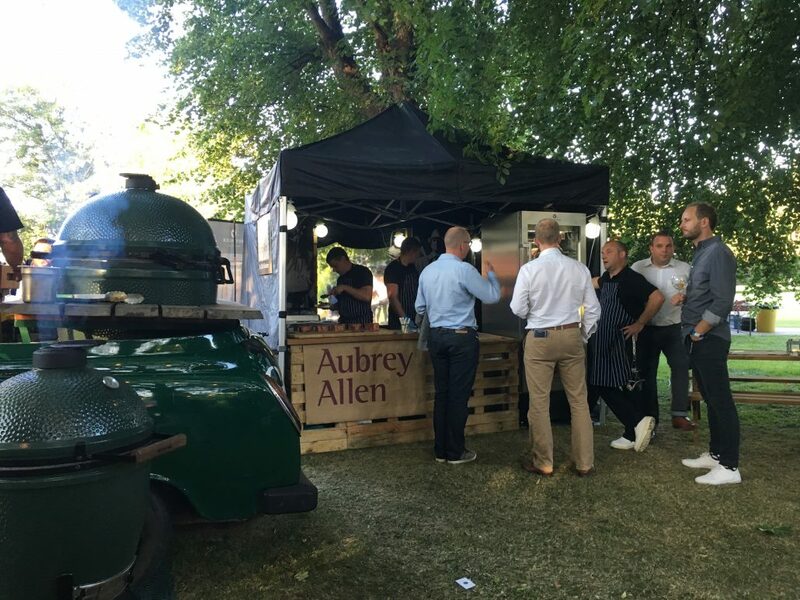 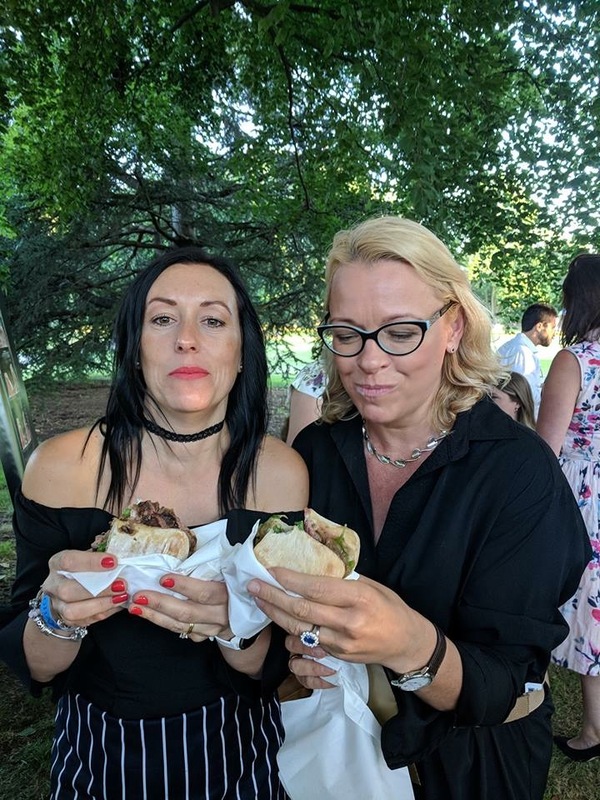 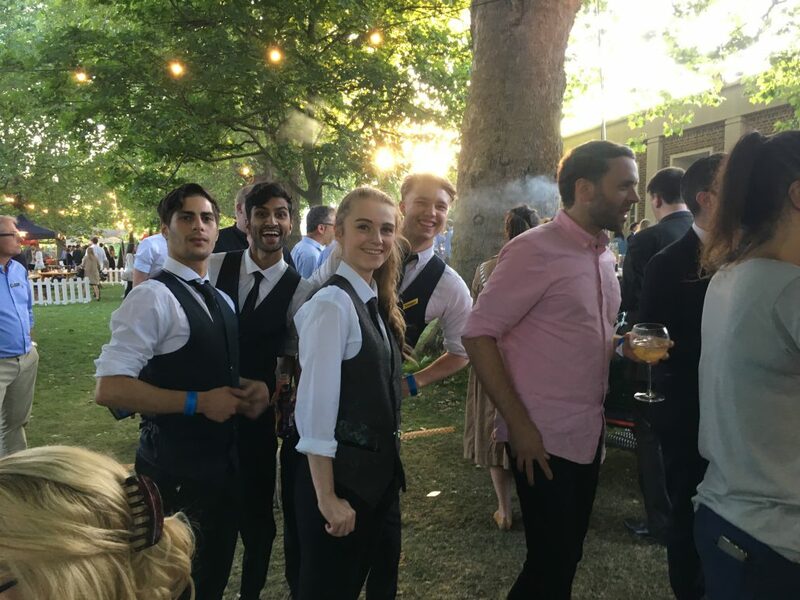 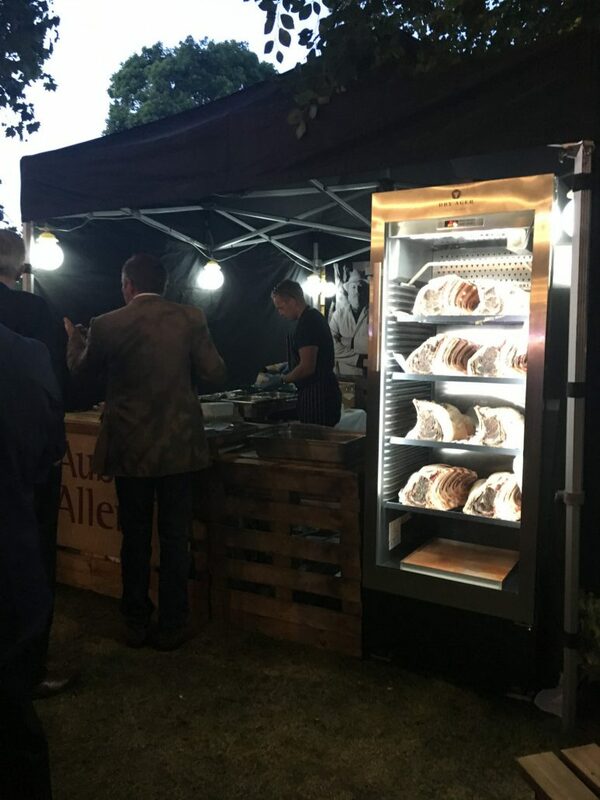 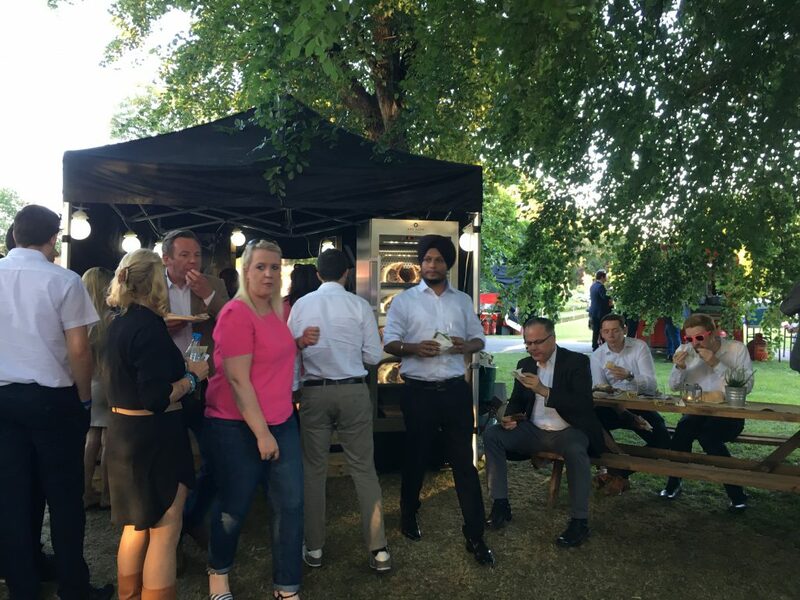 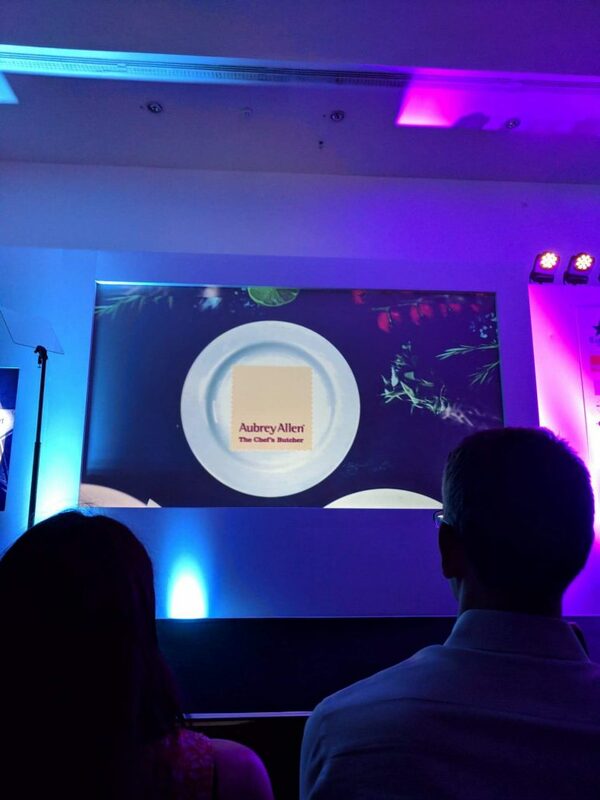 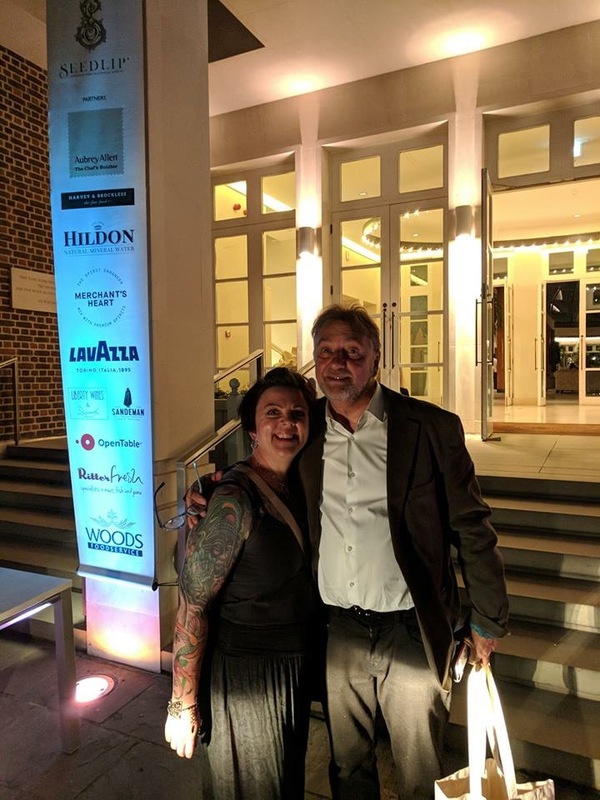 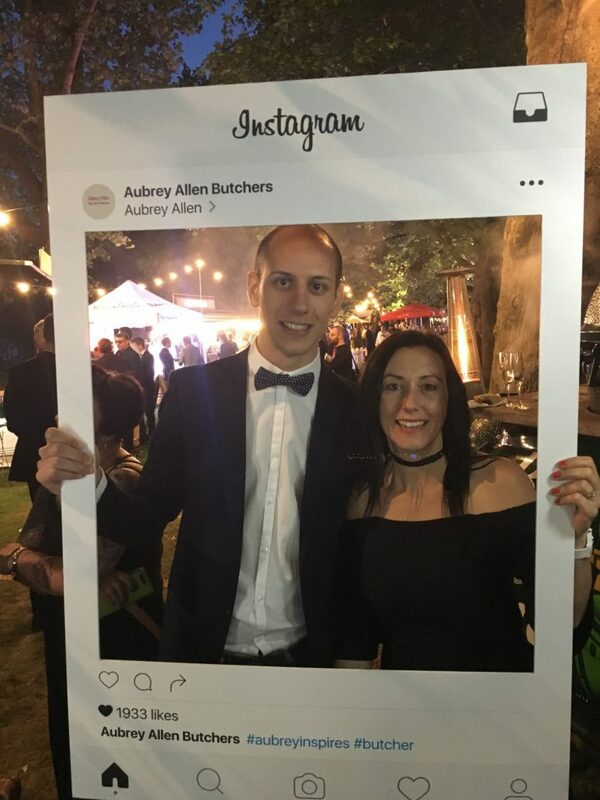 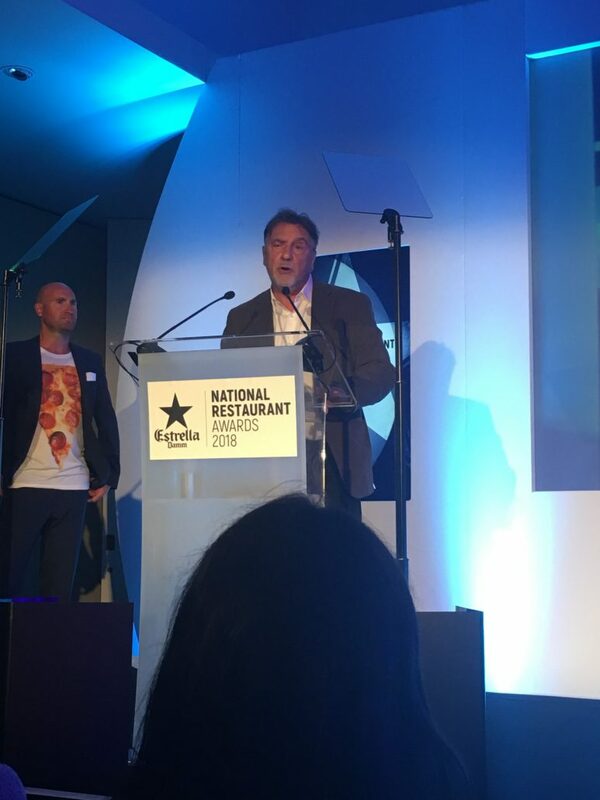 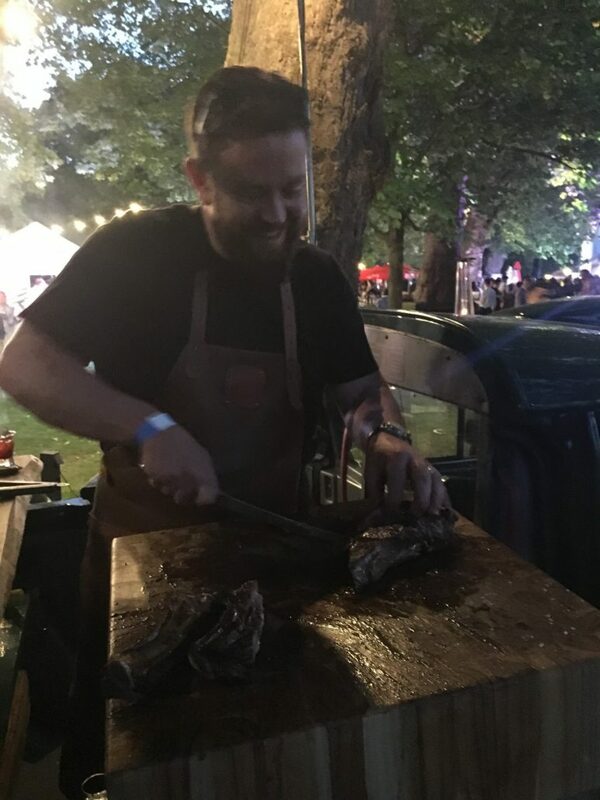 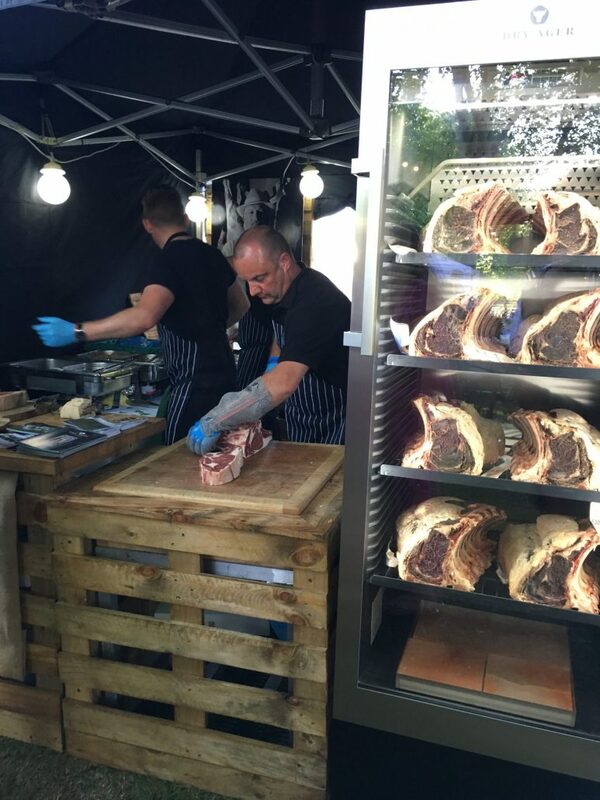 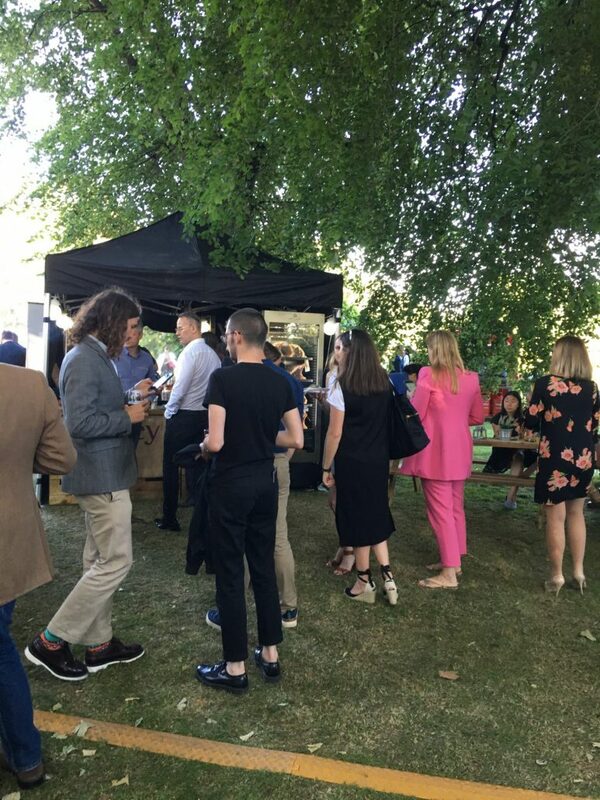 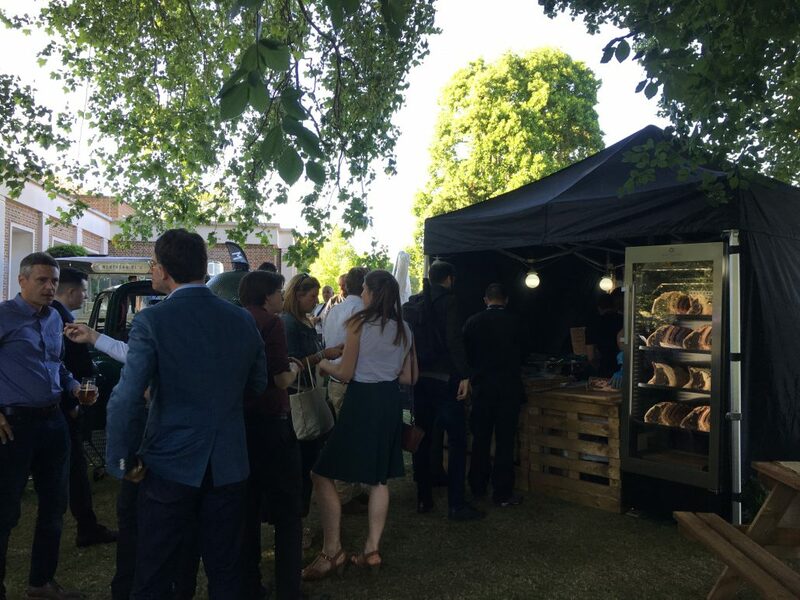 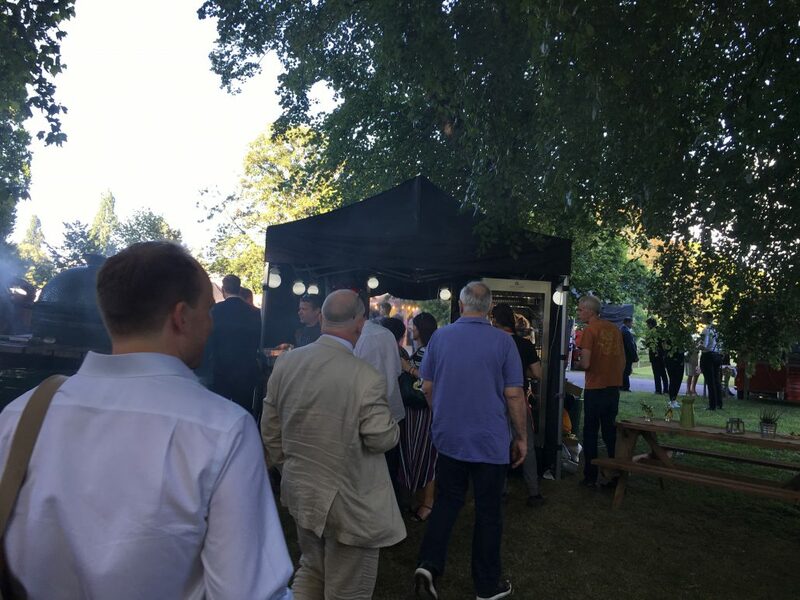 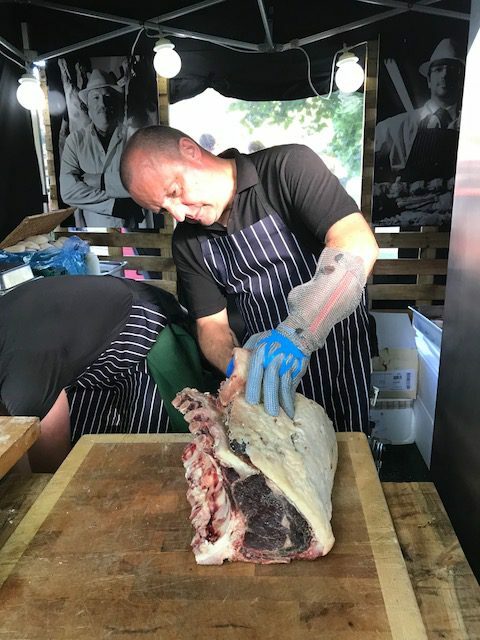 As a sponsor of the National Restaurant Awards and Sustainable Restaurant of the year we attended this event at The Hurlingham Club and served our lovely dry-aged beef to guests throughout the evening. 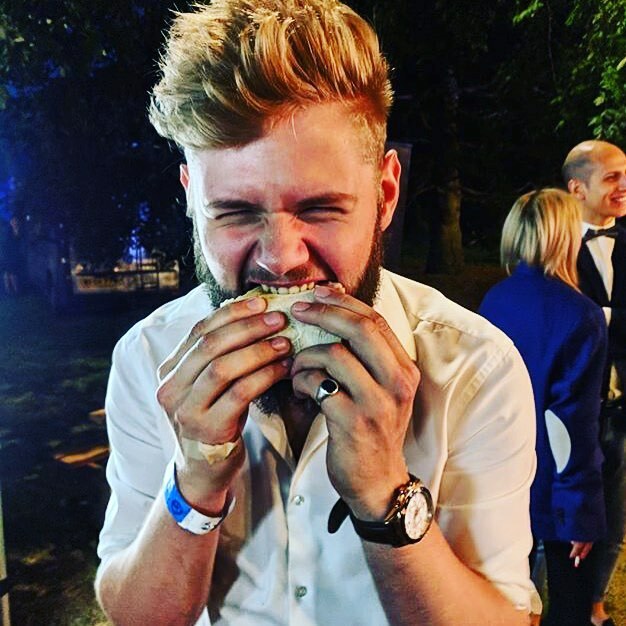 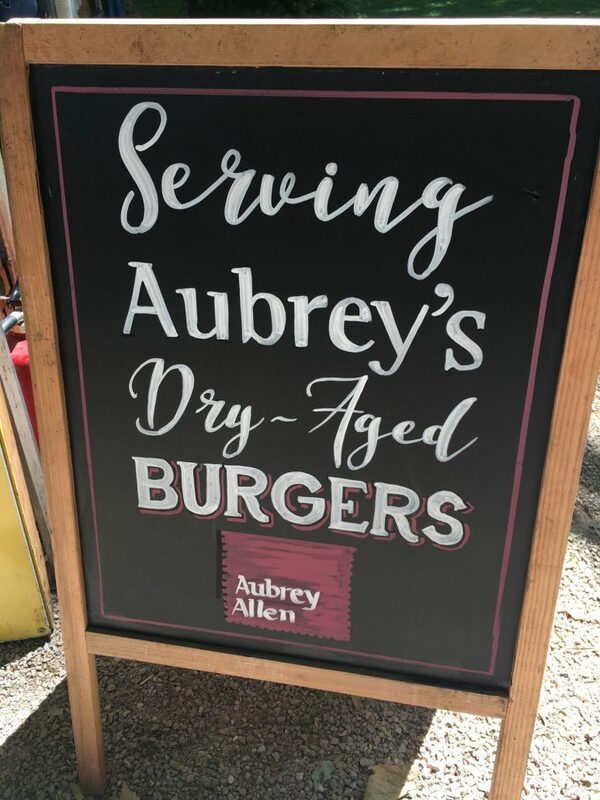 Tongue n’ Cheek (street food vendor) served our dry aged Aubrey Burgers.